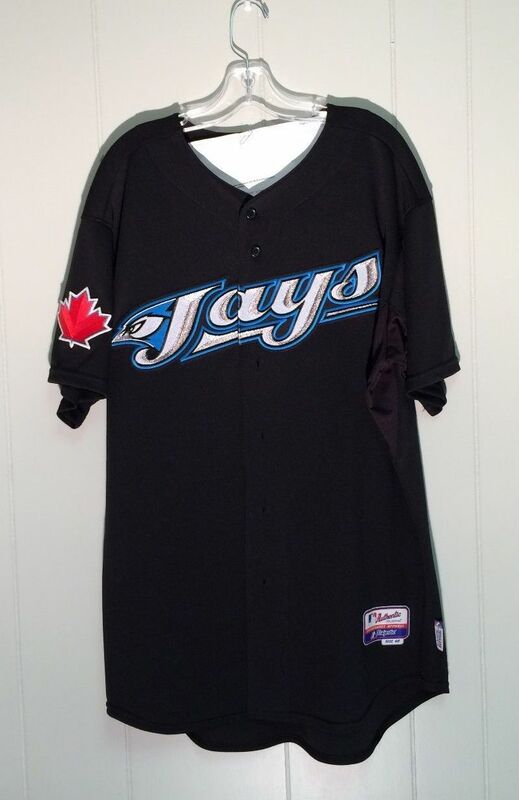 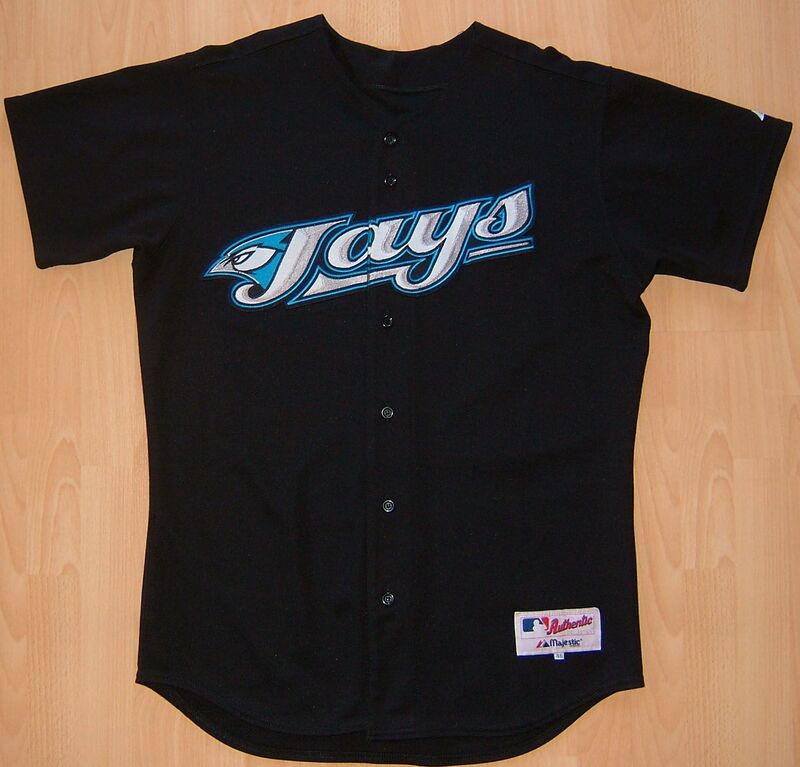 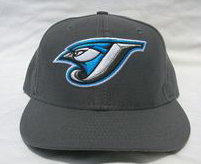 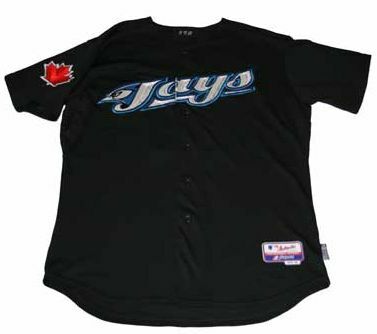 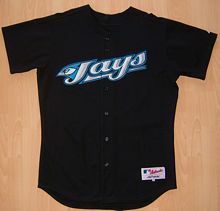 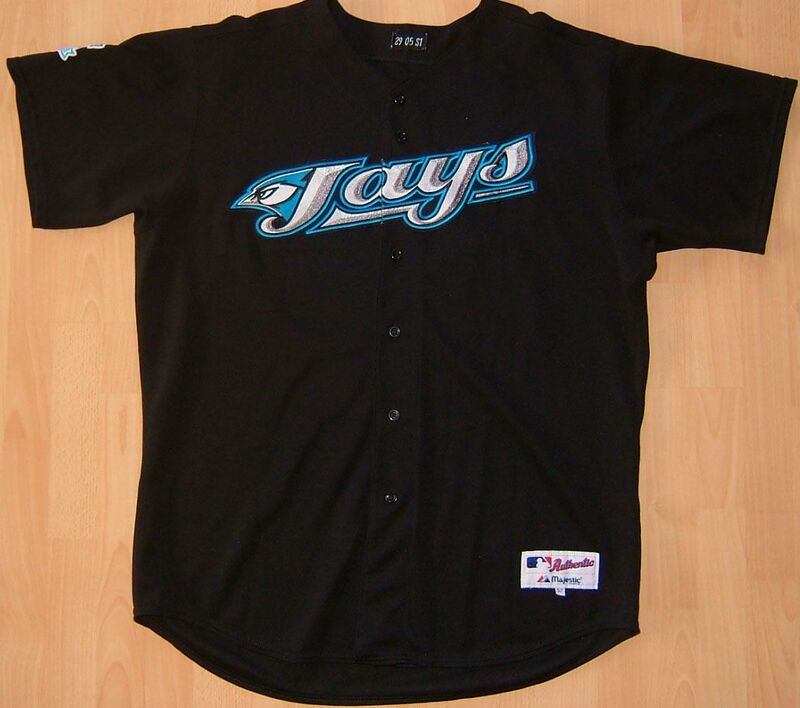 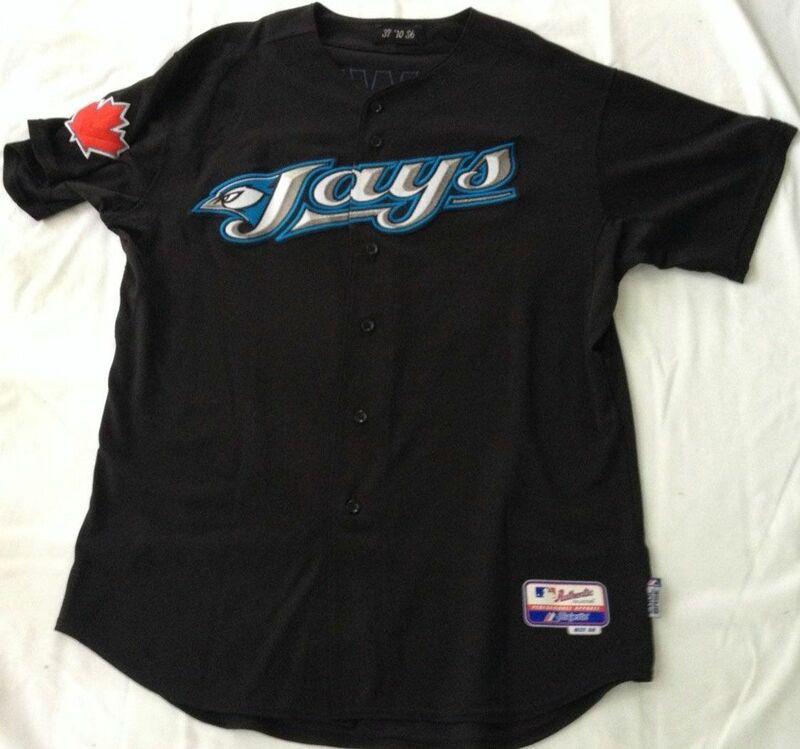 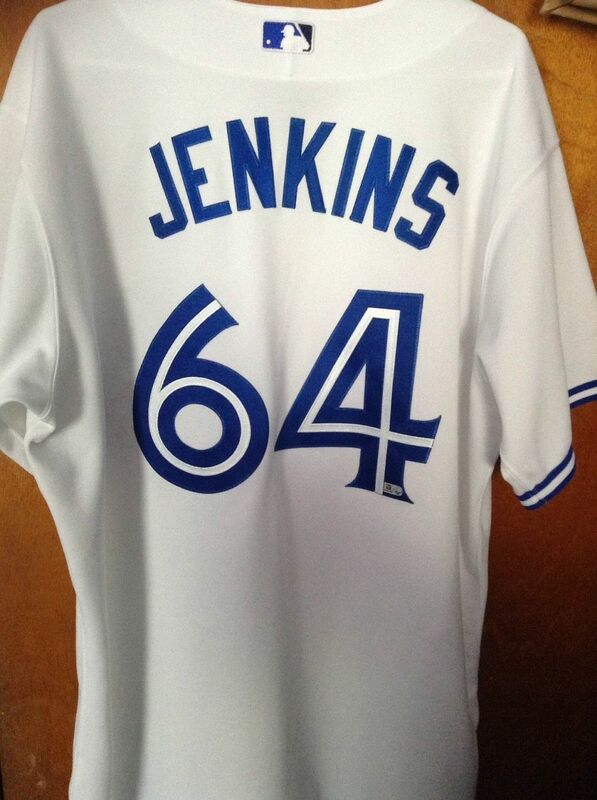 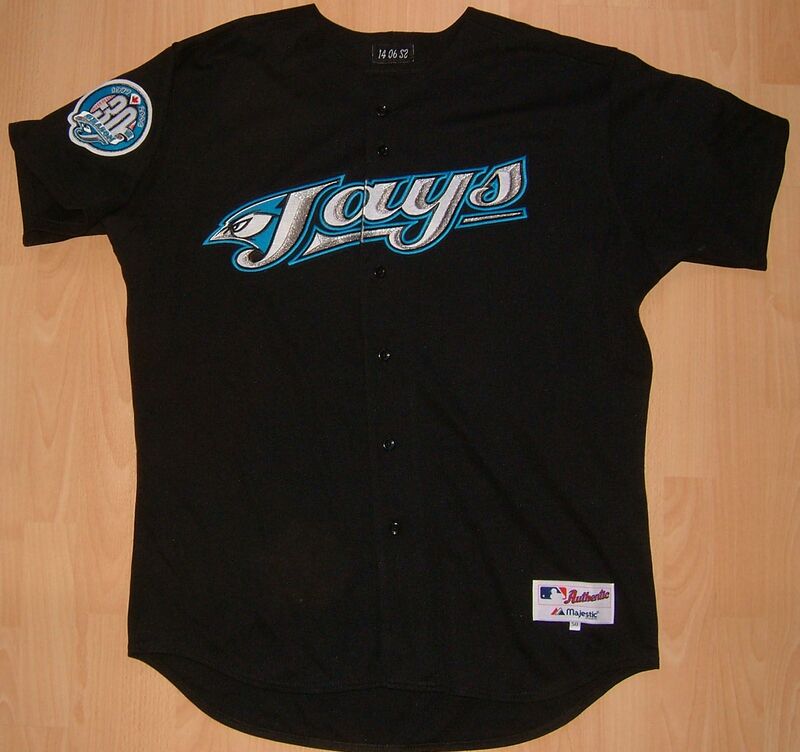 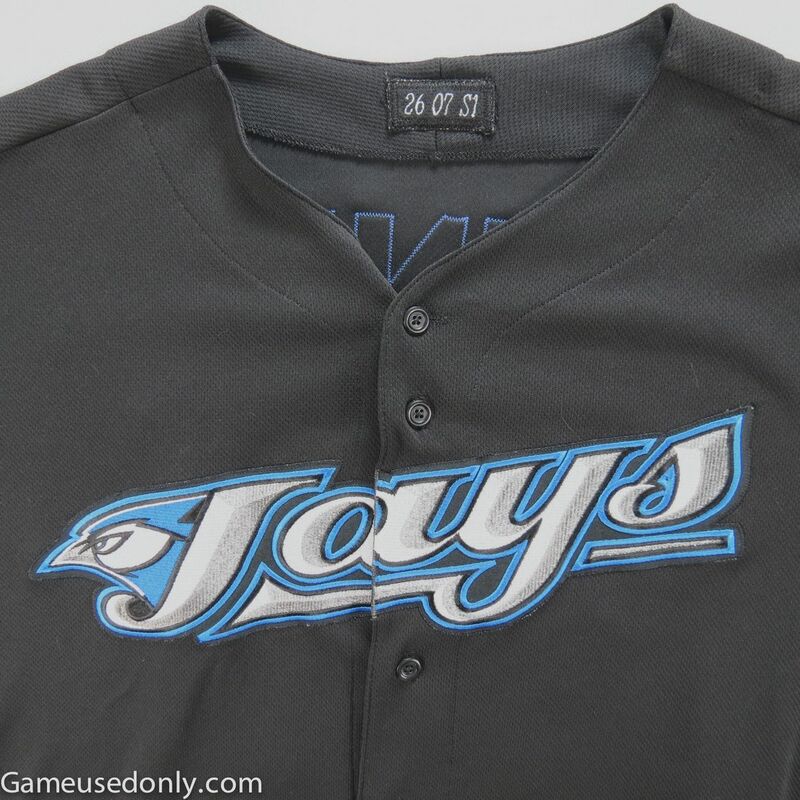 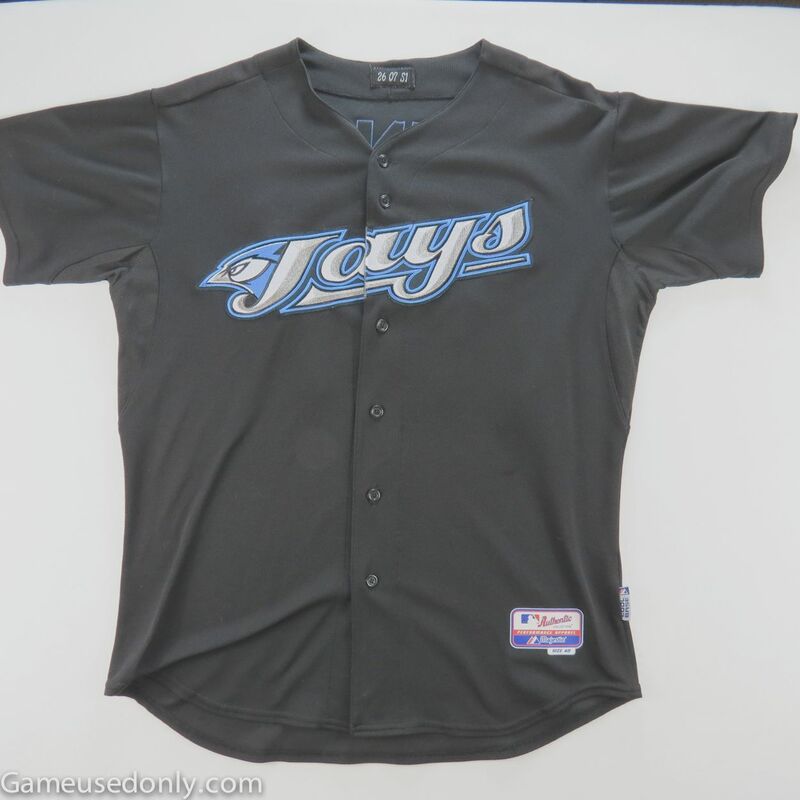 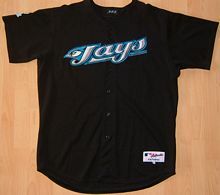 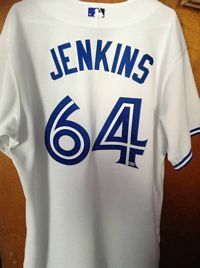 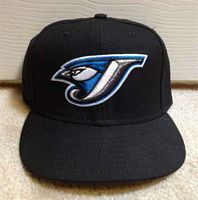 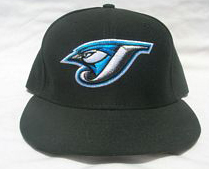 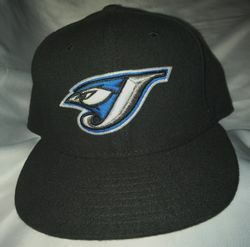 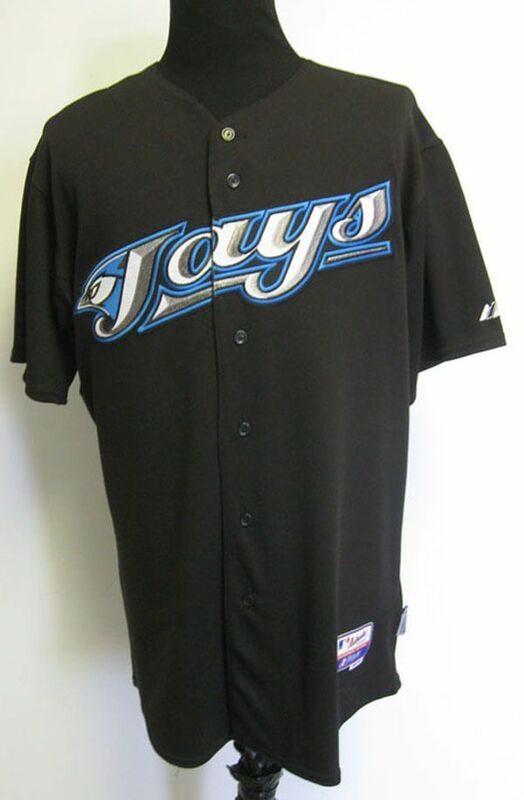 The Jays head off the rails design-wise with a new home, road and black alternate set. 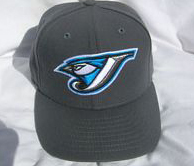 Home cap is graphite, road and alternate is black. 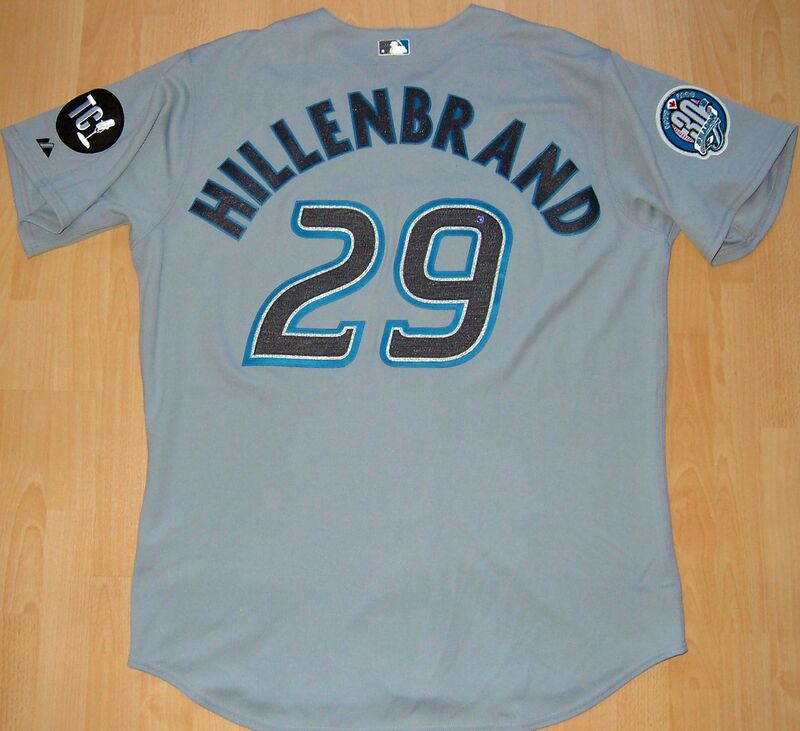 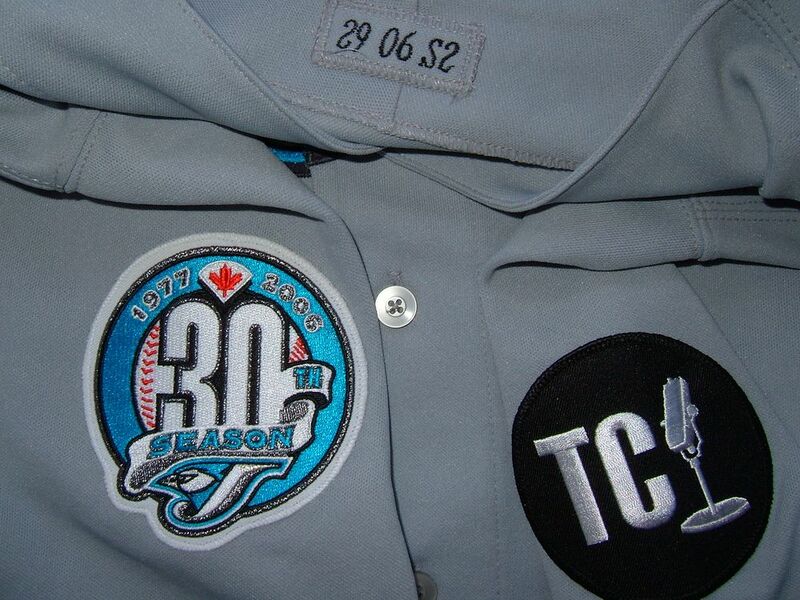 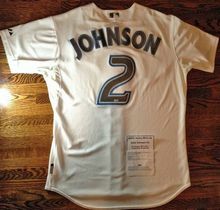 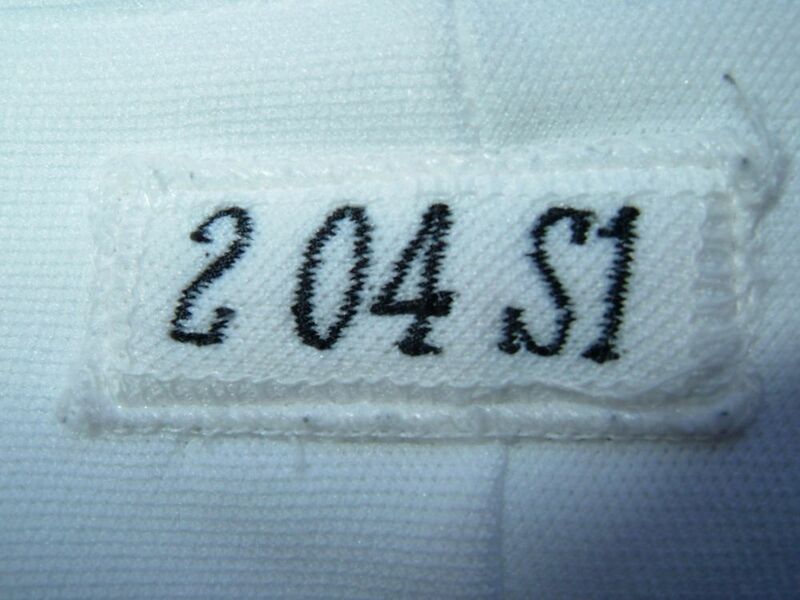 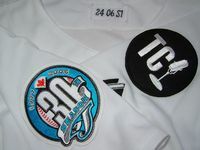 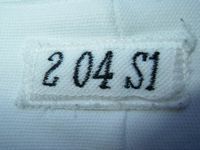 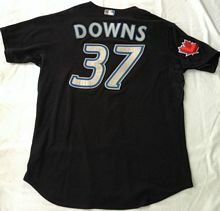 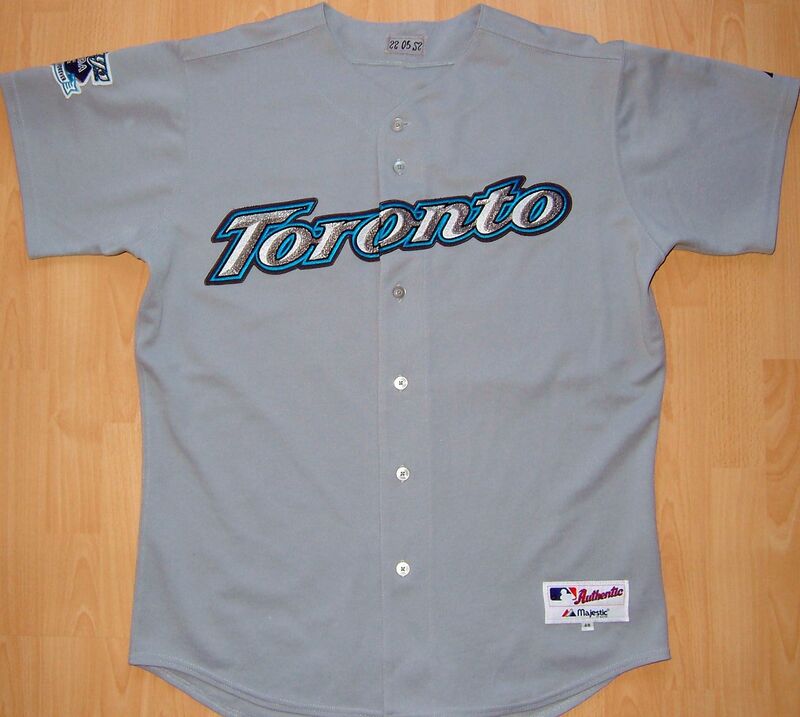 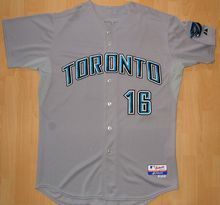 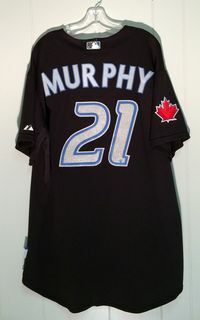 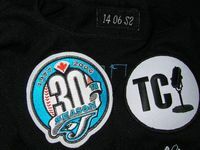 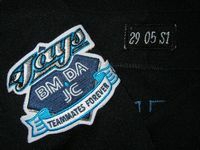 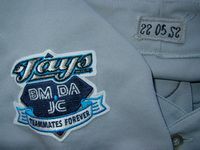 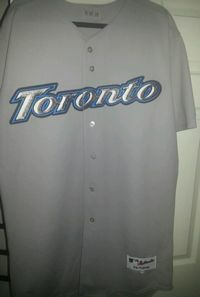 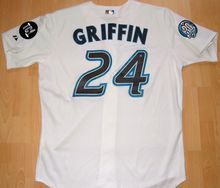 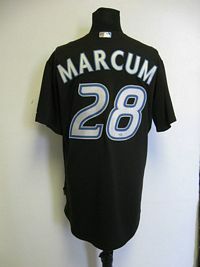 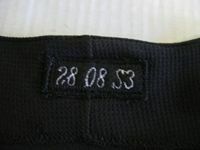 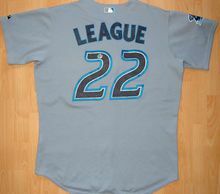 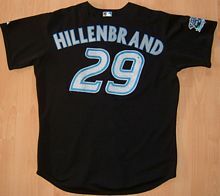 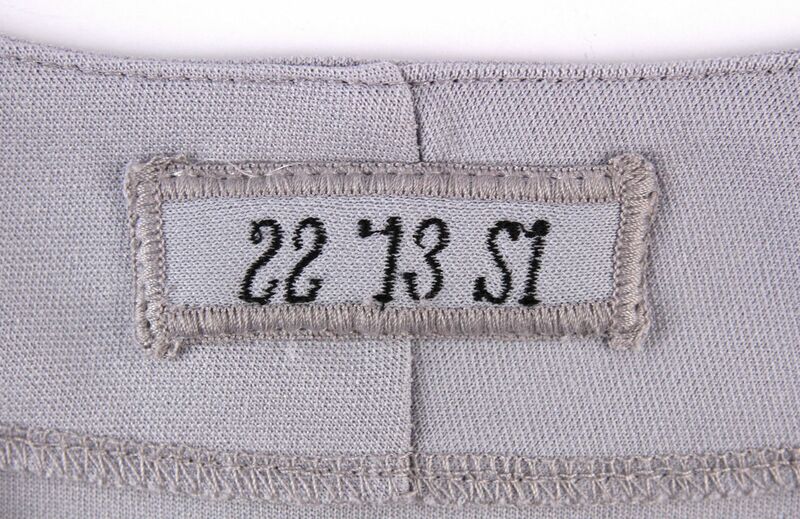 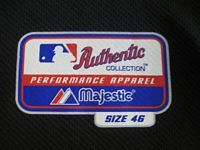 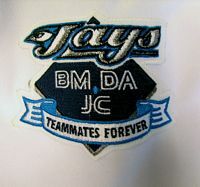 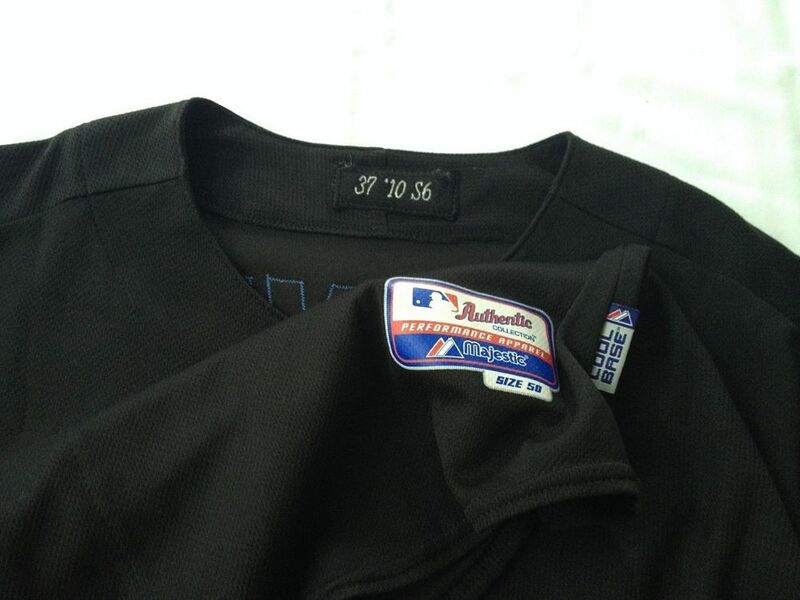 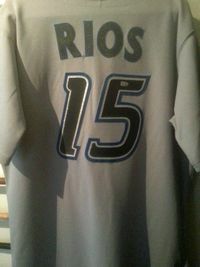 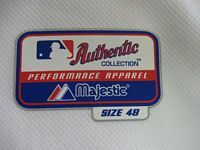 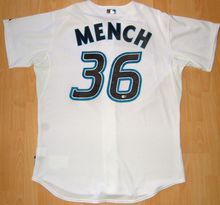 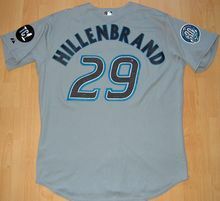 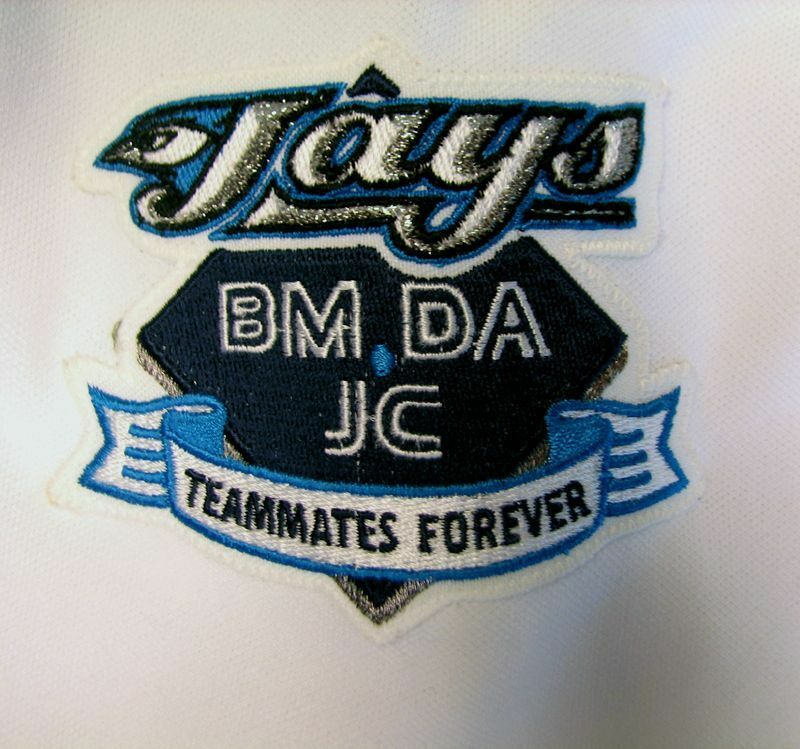 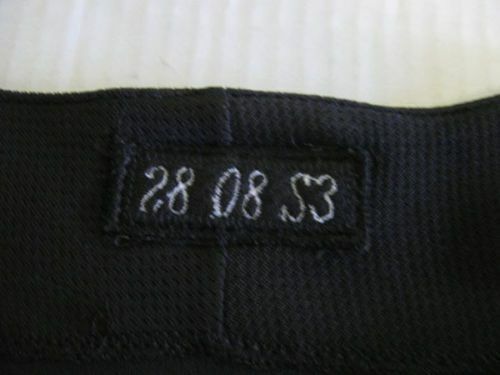 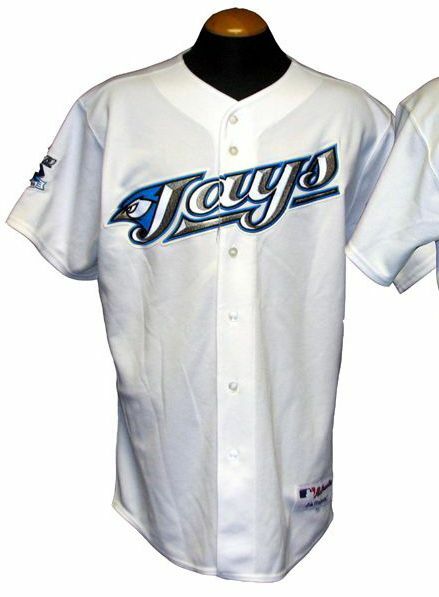 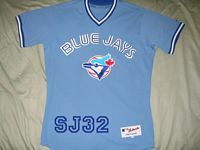 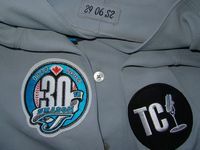 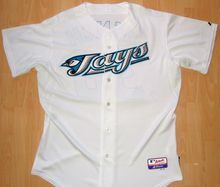 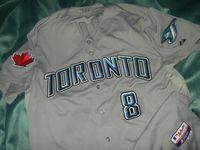 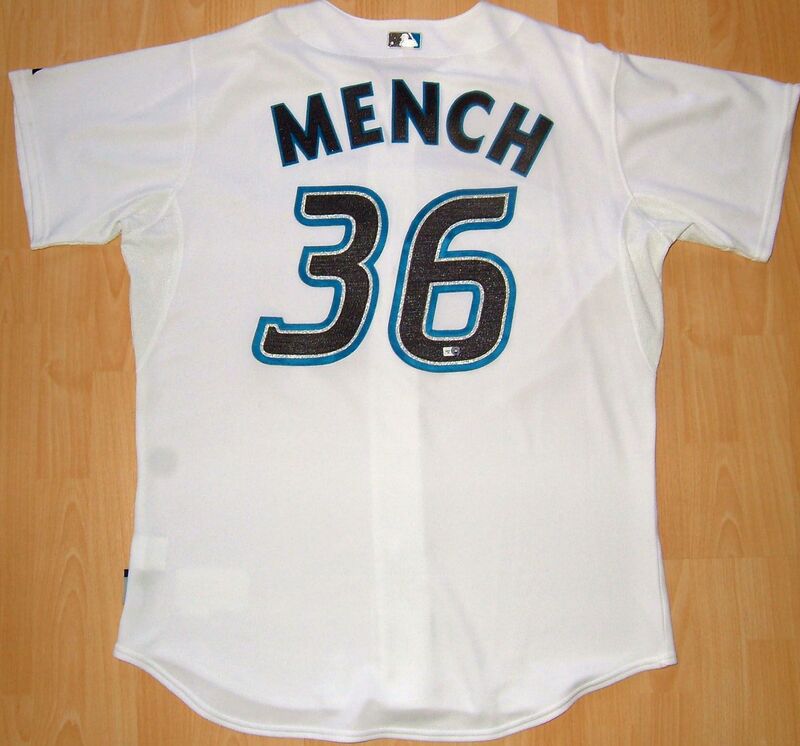 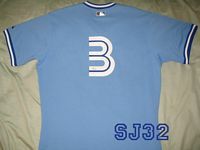 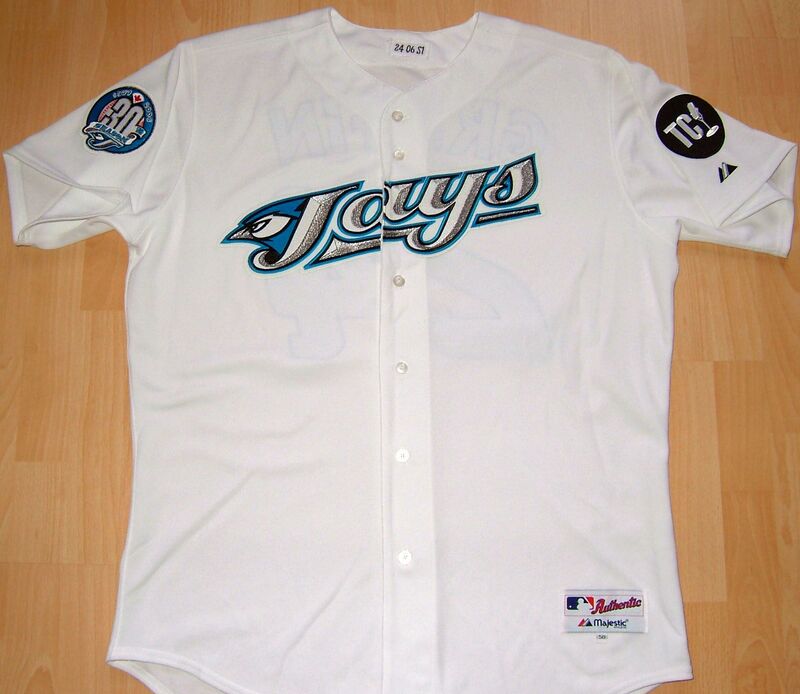 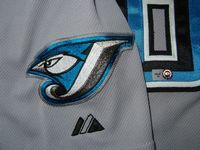 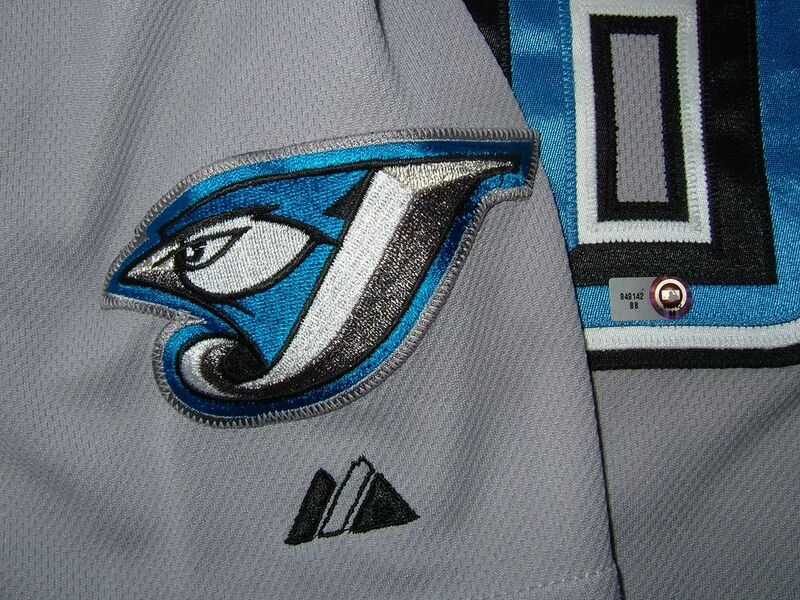 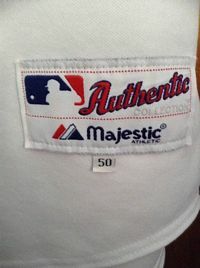 30th anniversary patch worn on all jerseys in 2006. 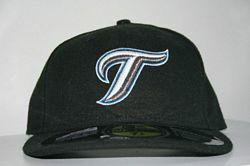 Graphite cap is dropped. 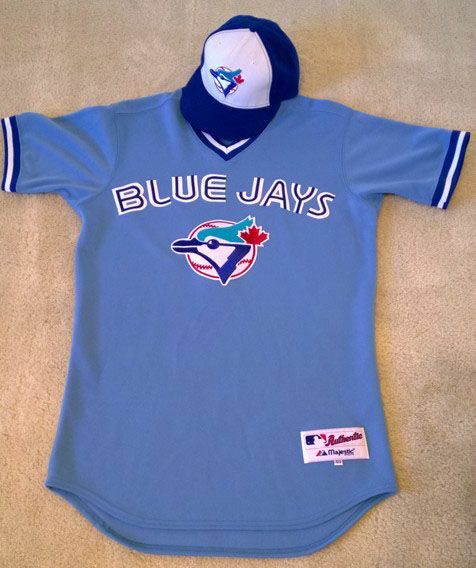 Cool Base home jerseys debut. 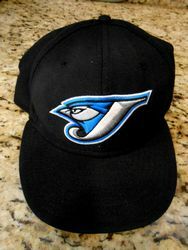 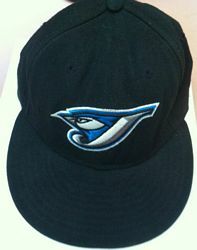 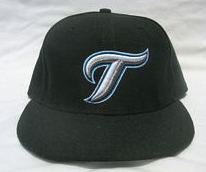 A "T" (or maybe it's an ocean wave or a seagull) alternate cap is introduced. 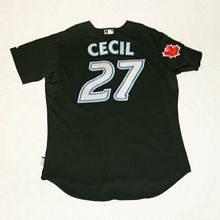 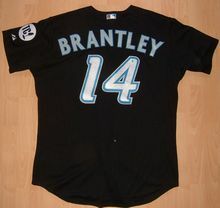 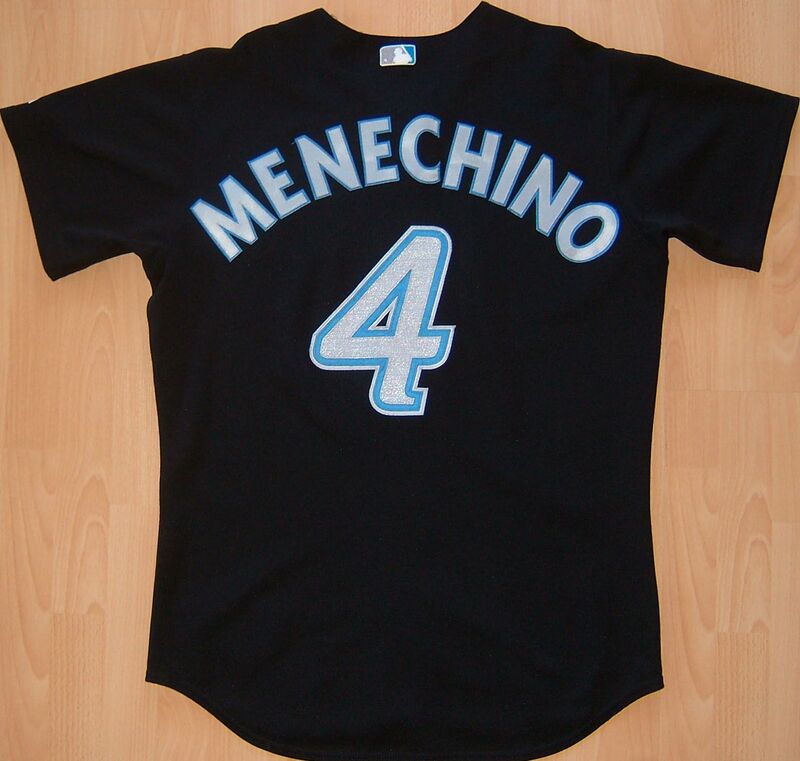 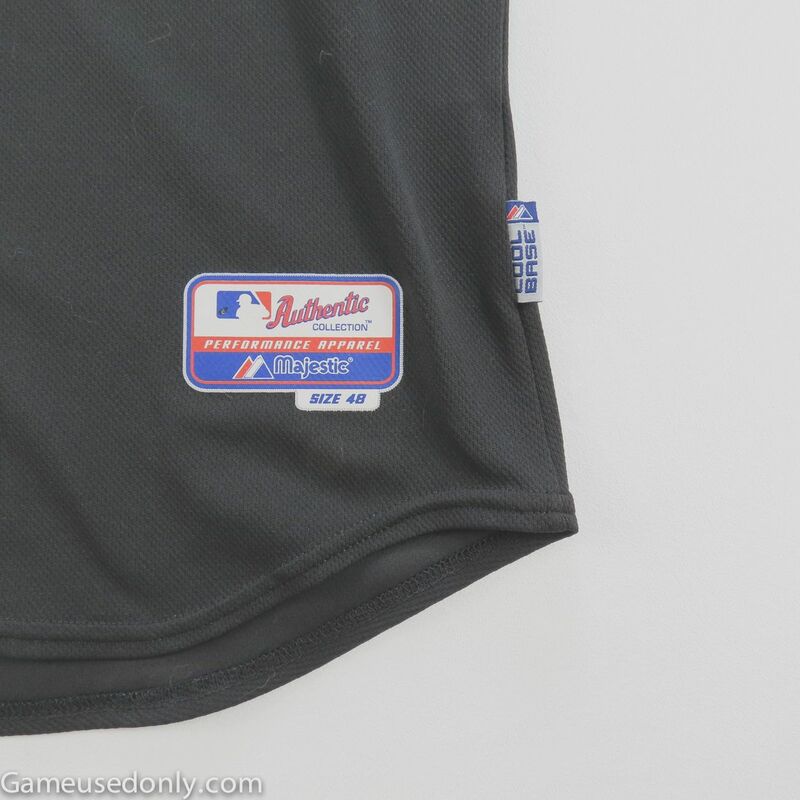 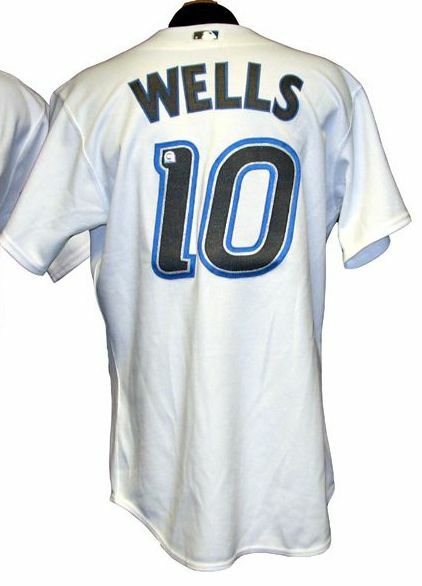 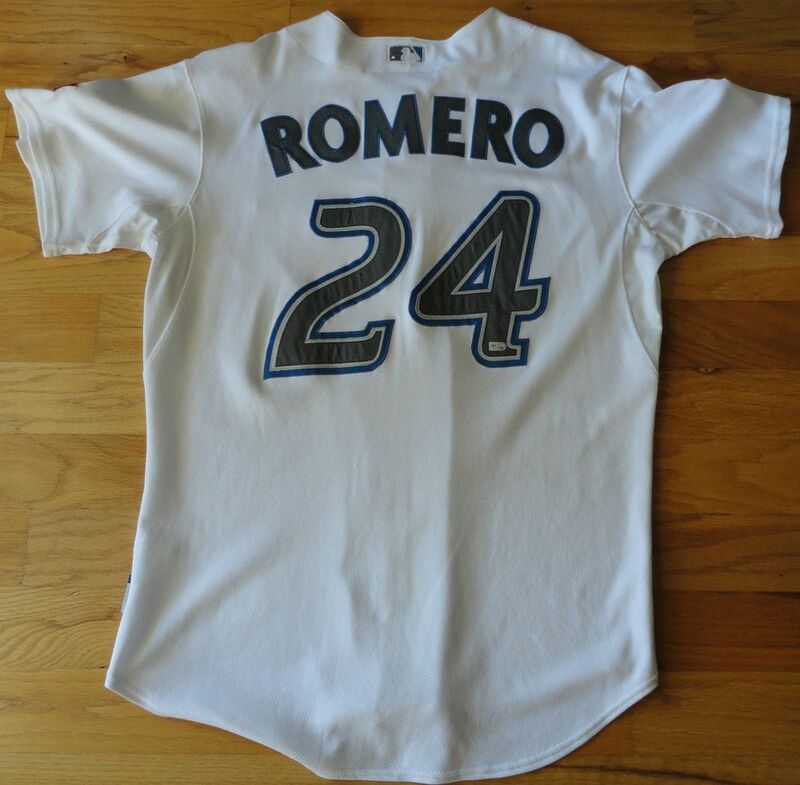 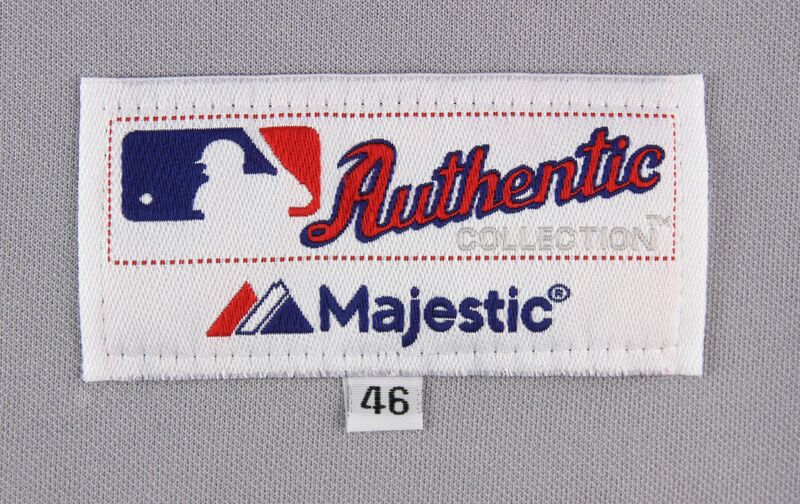 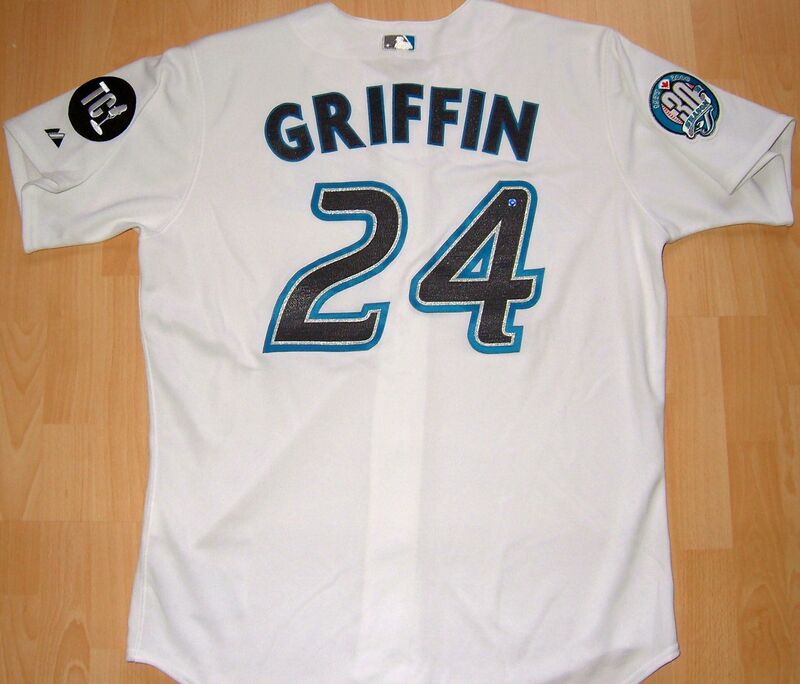 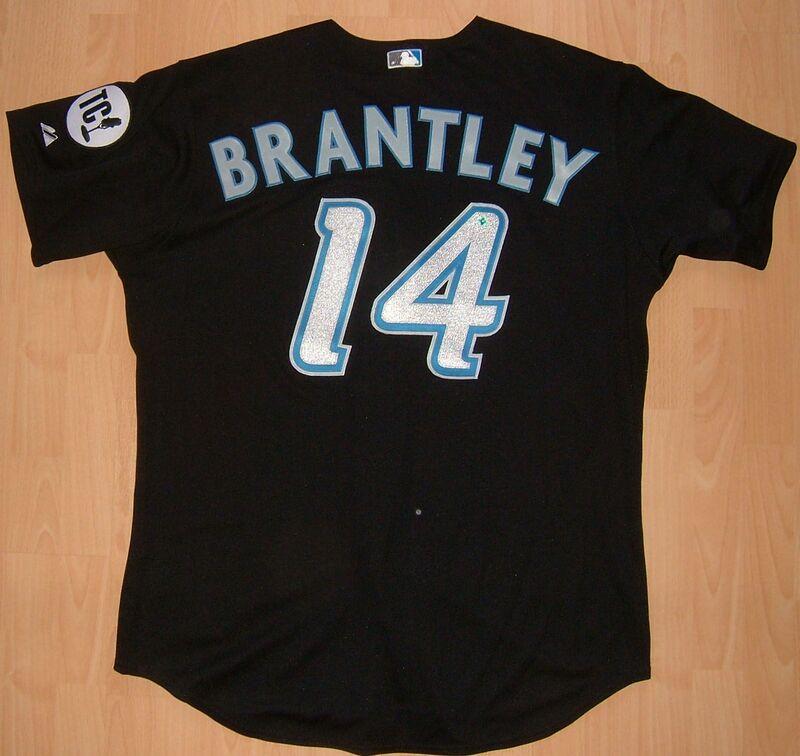 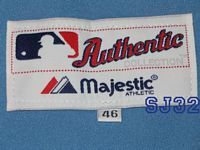 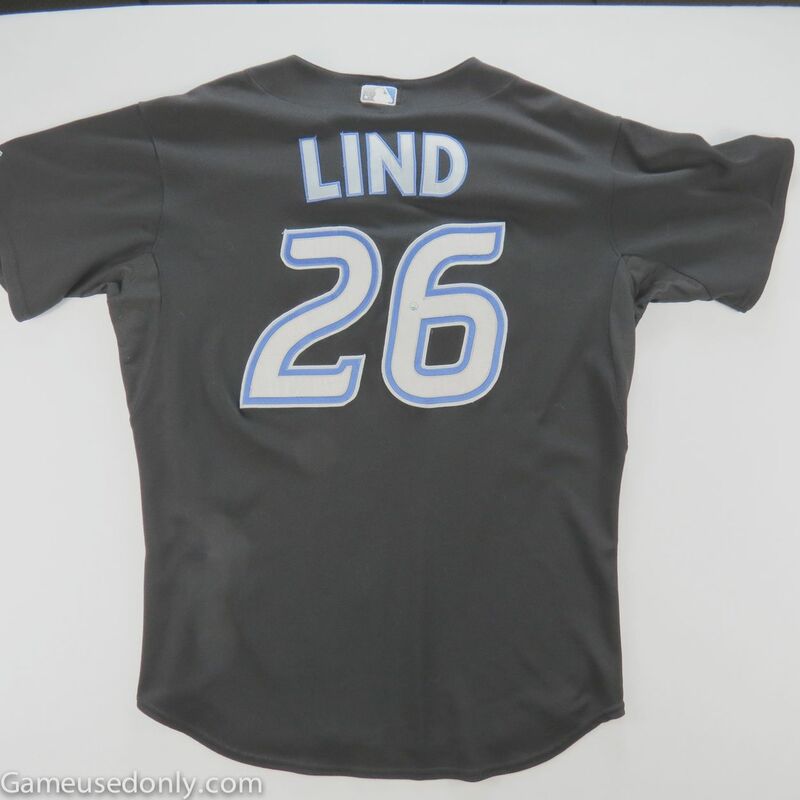 Road jersey script changes to block letters and the logo added as a sleeve patch. 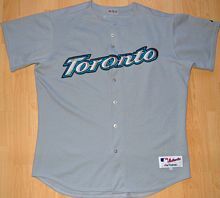 A new powder blue Friday home alternate appears based on the 1980's road jersey, but with belts and the darker 1993-96 color scheme. 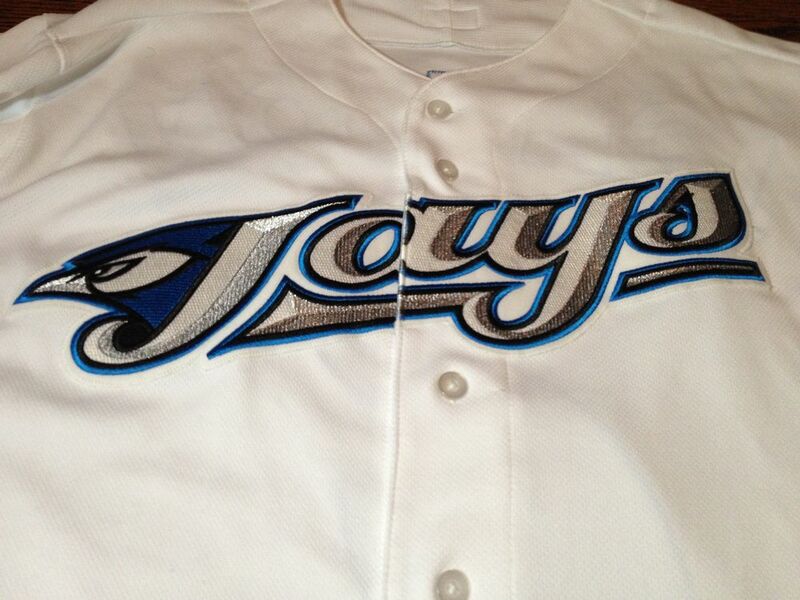 Road and alternate Cool Base jerseys (except powder blue) debut. 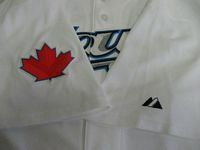 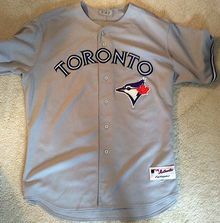 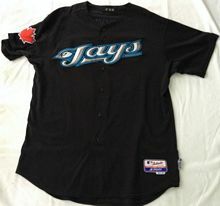 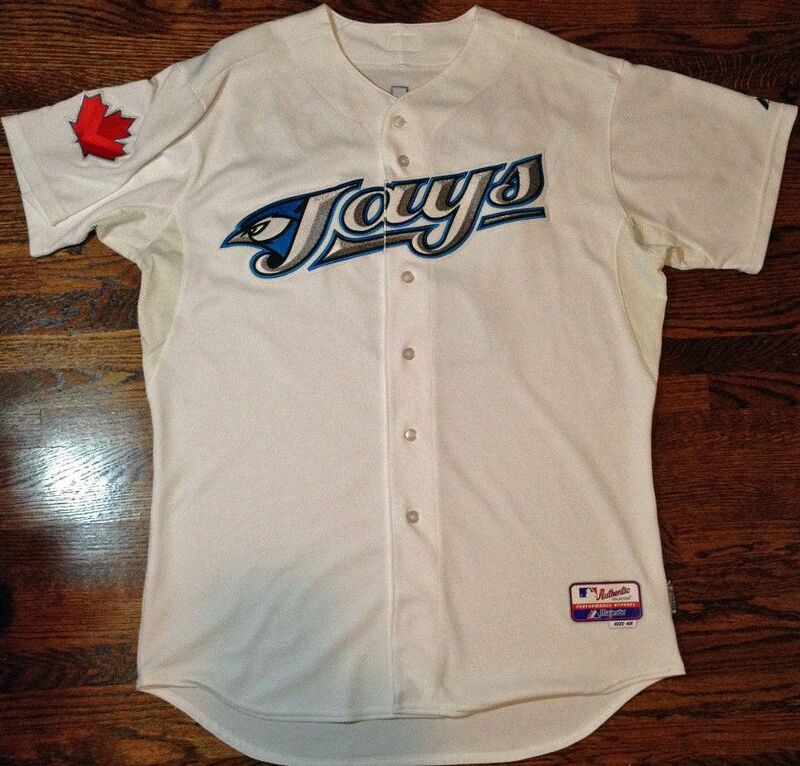 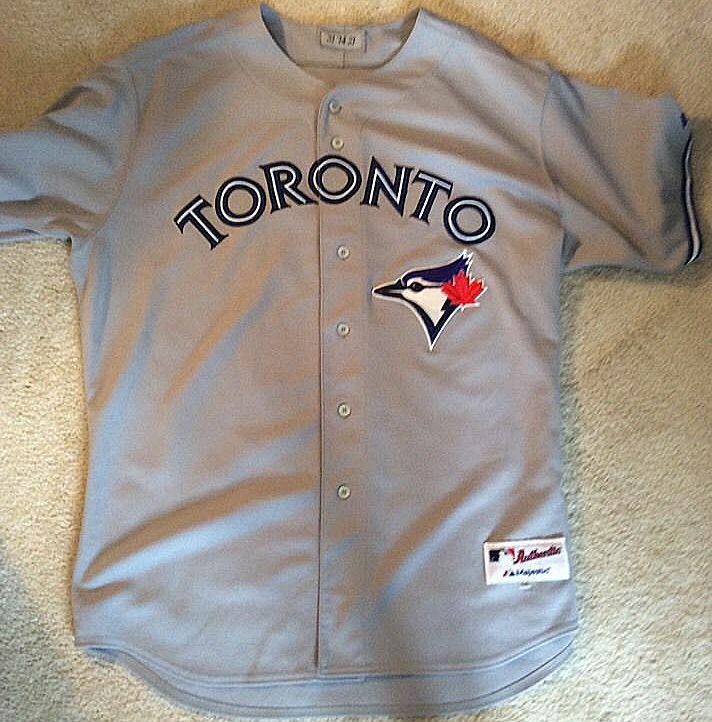 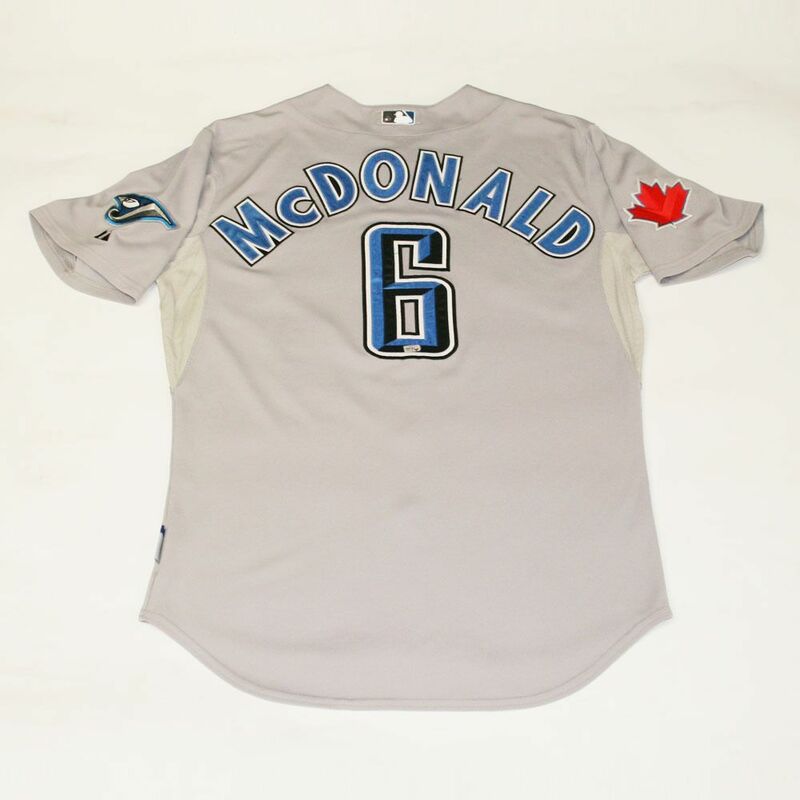 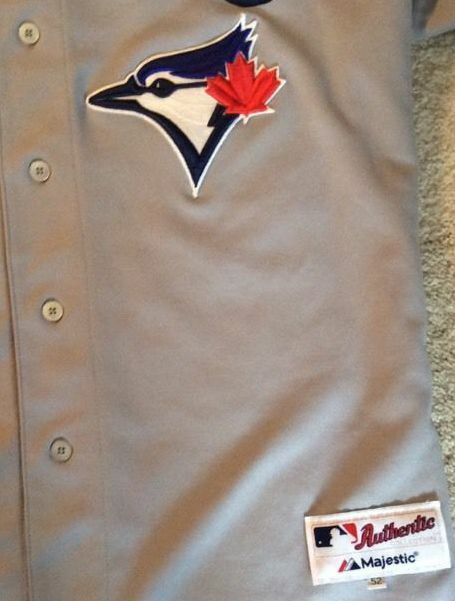 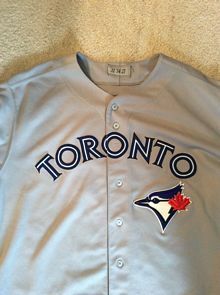 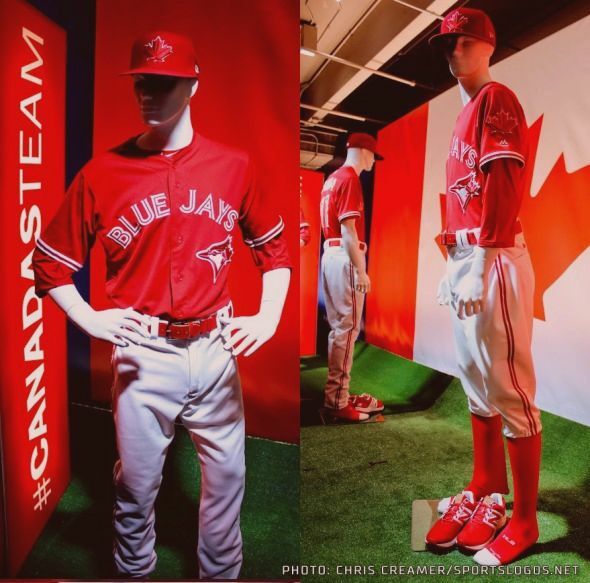 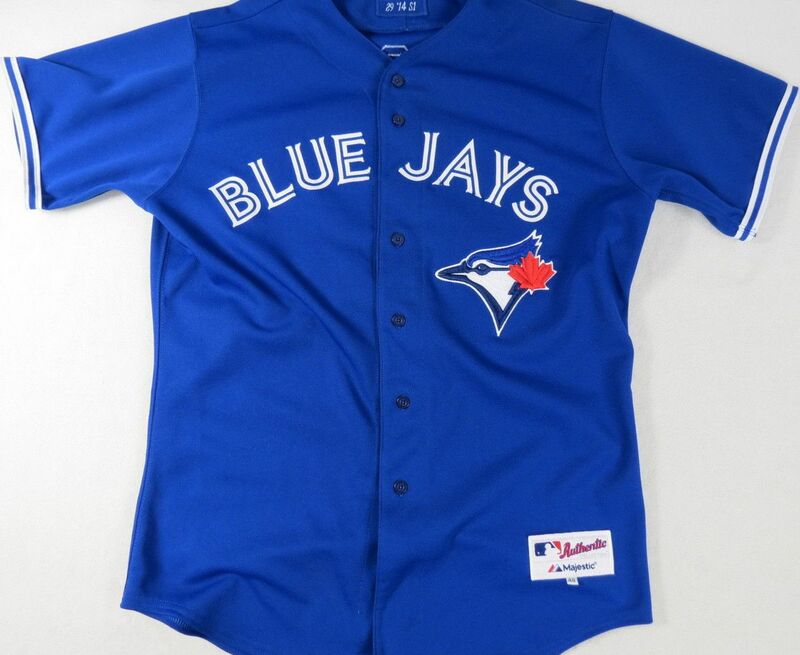 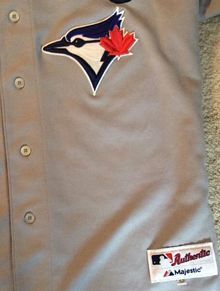 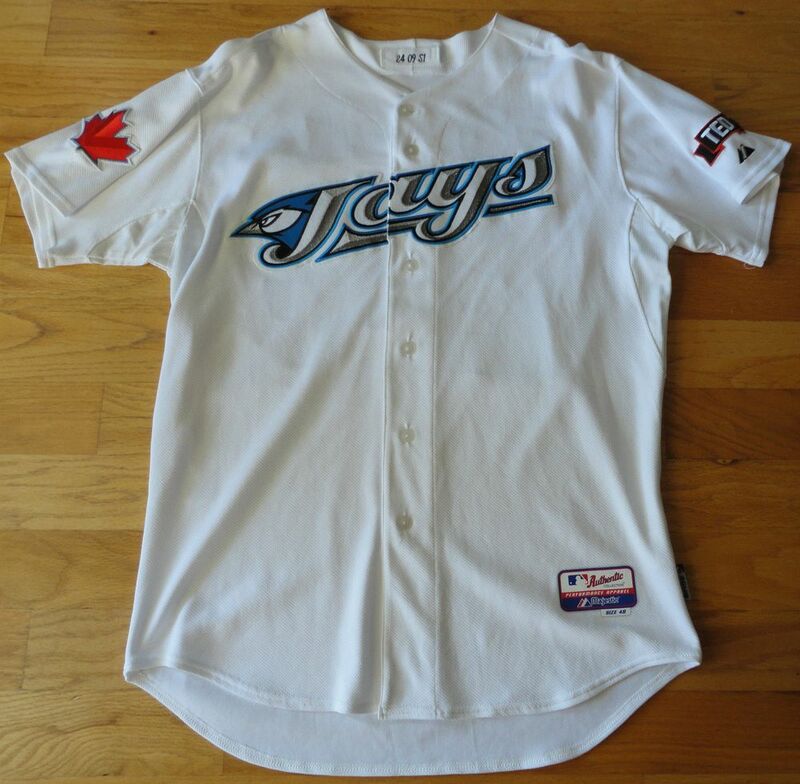 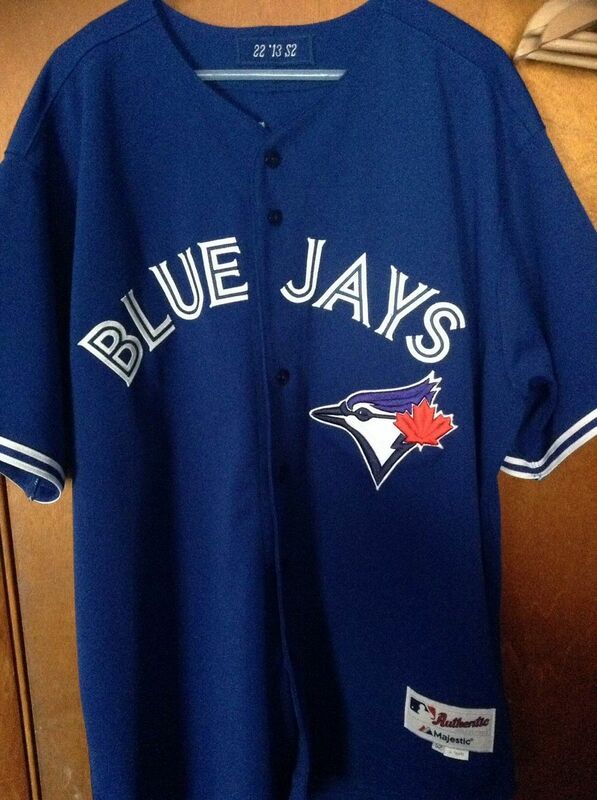 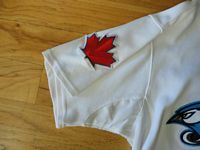 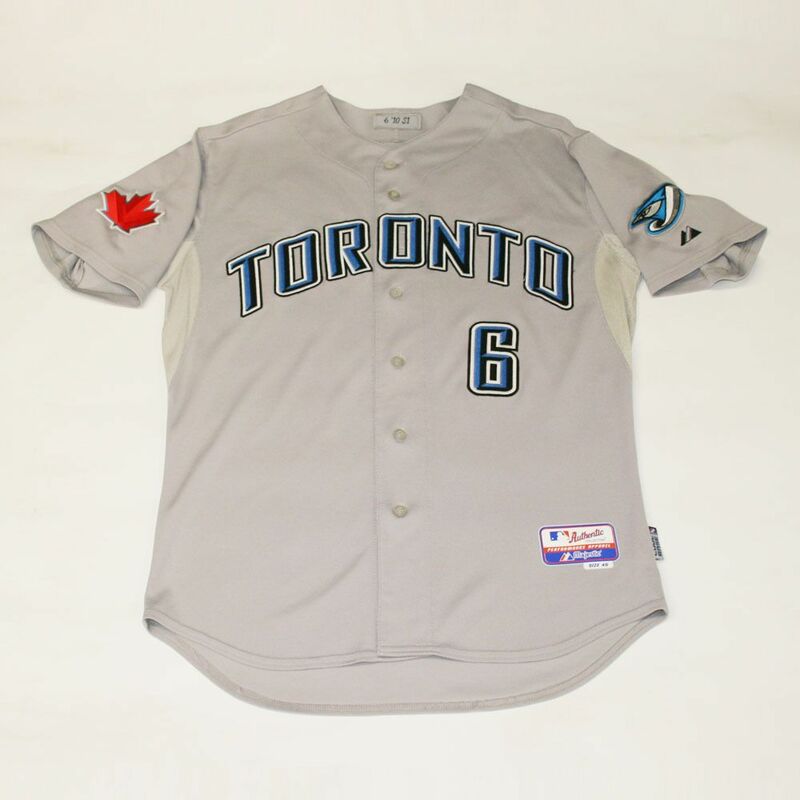 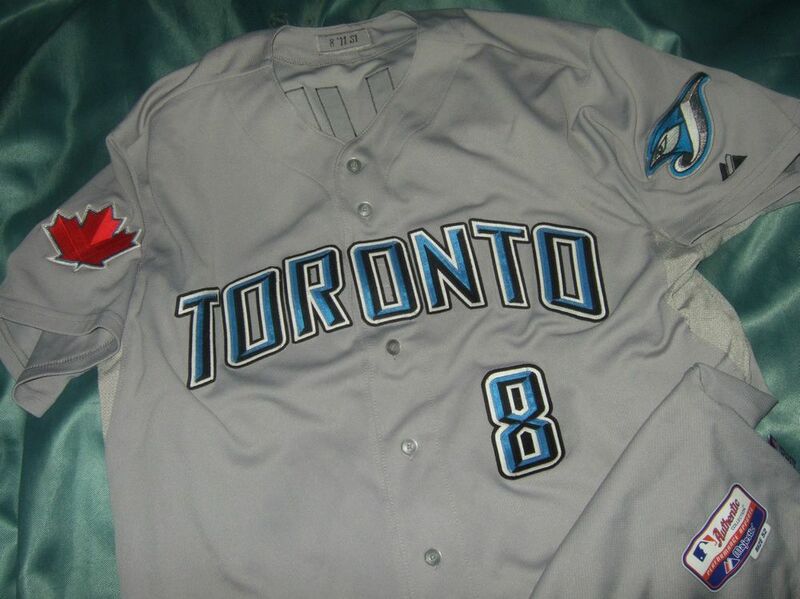 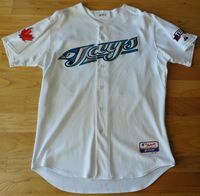 Red maple leaf sleeve patch added to all jerseys. 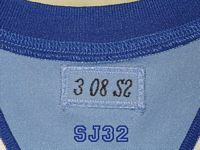 Powder blue Friday alternate dropped. 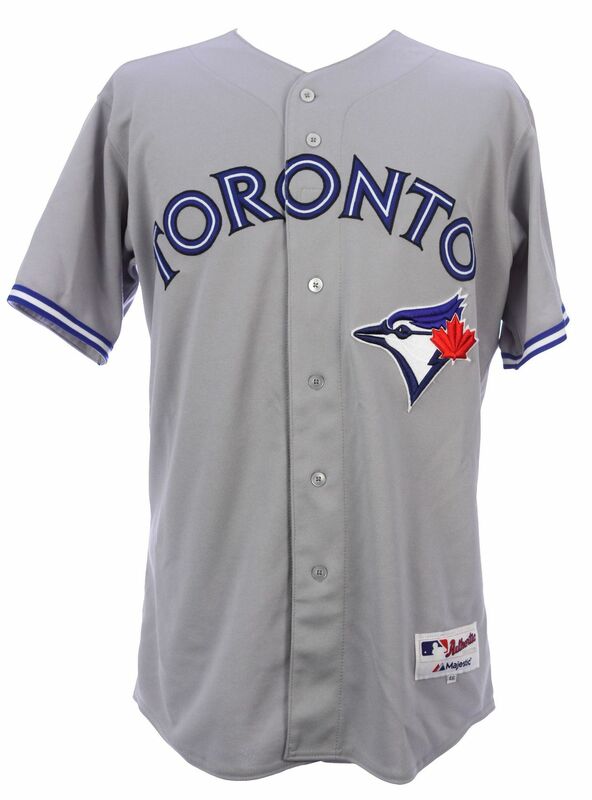 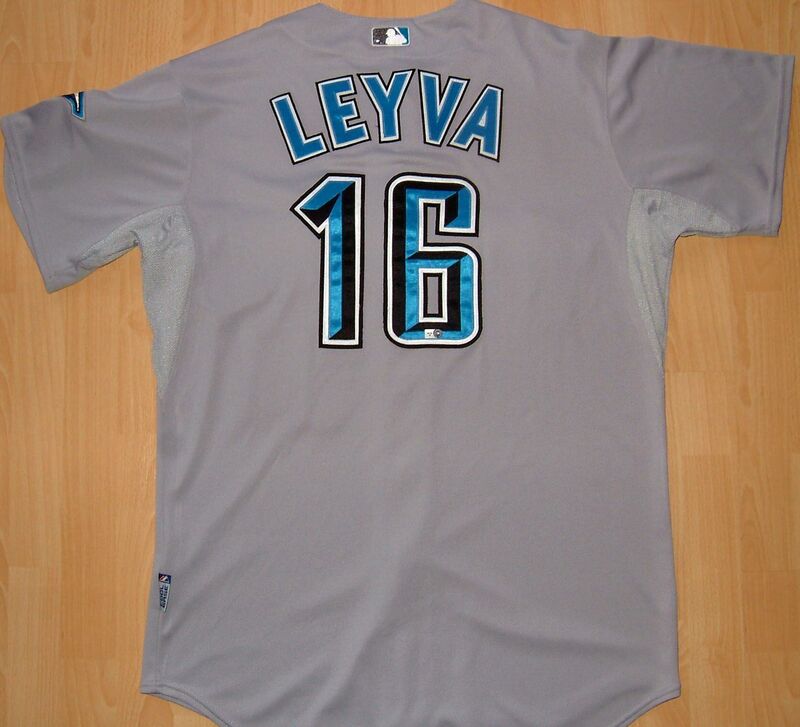 Jerseys return to a nicely updated traditional look, sans the light blue accent color. 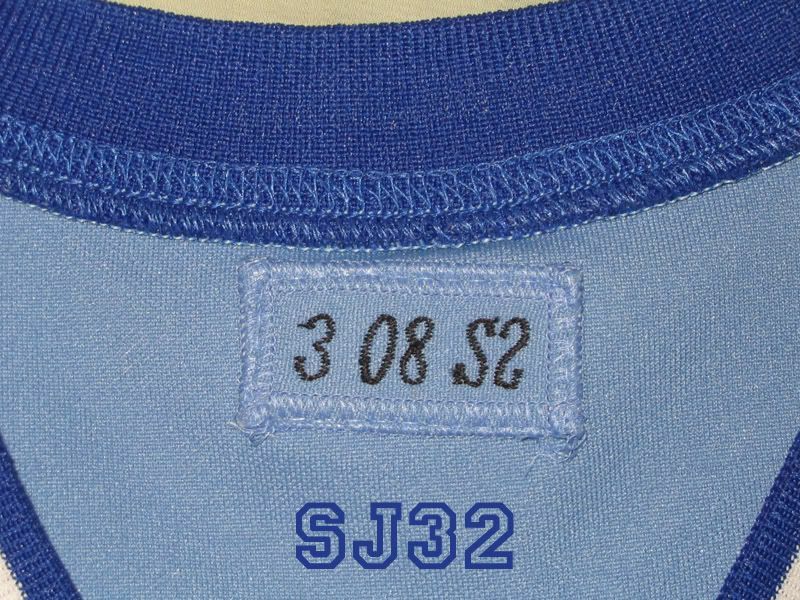 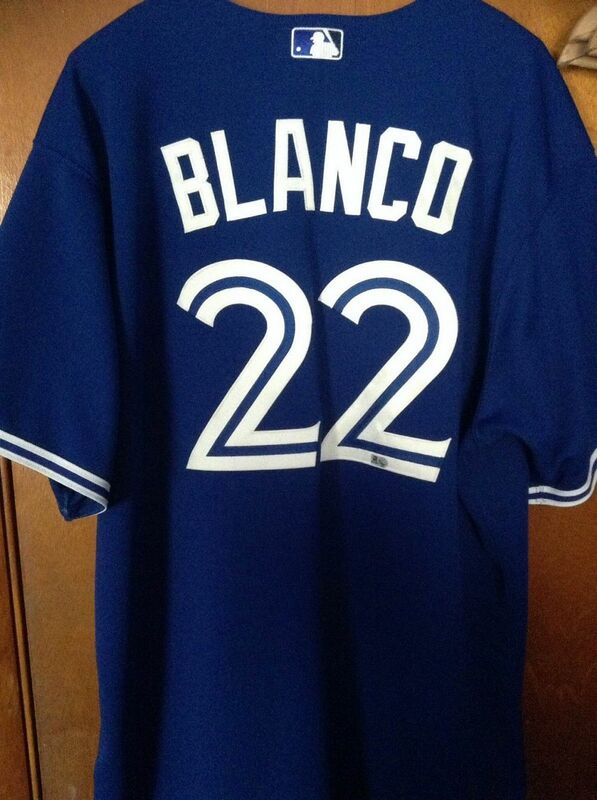 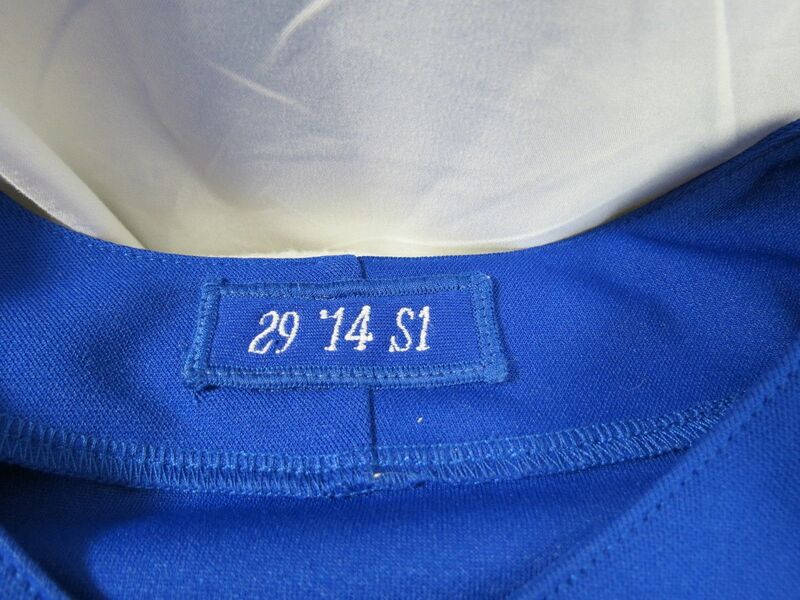 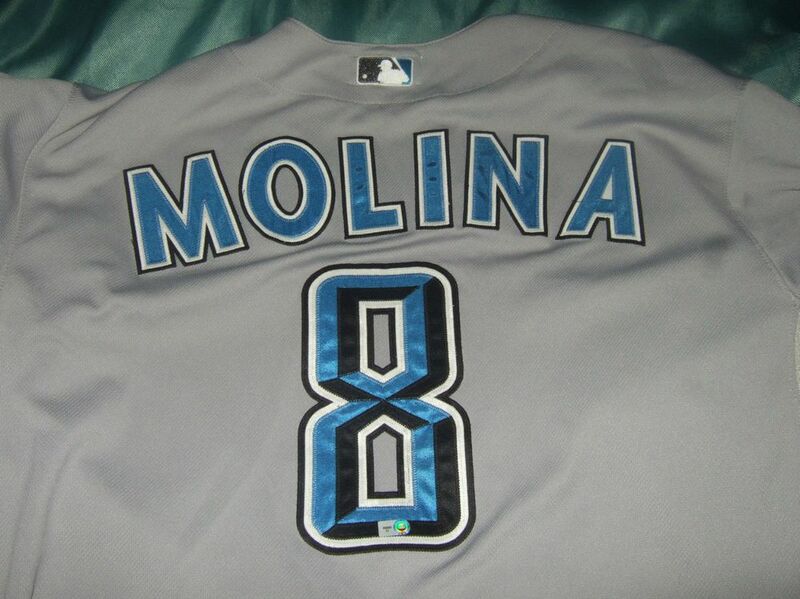 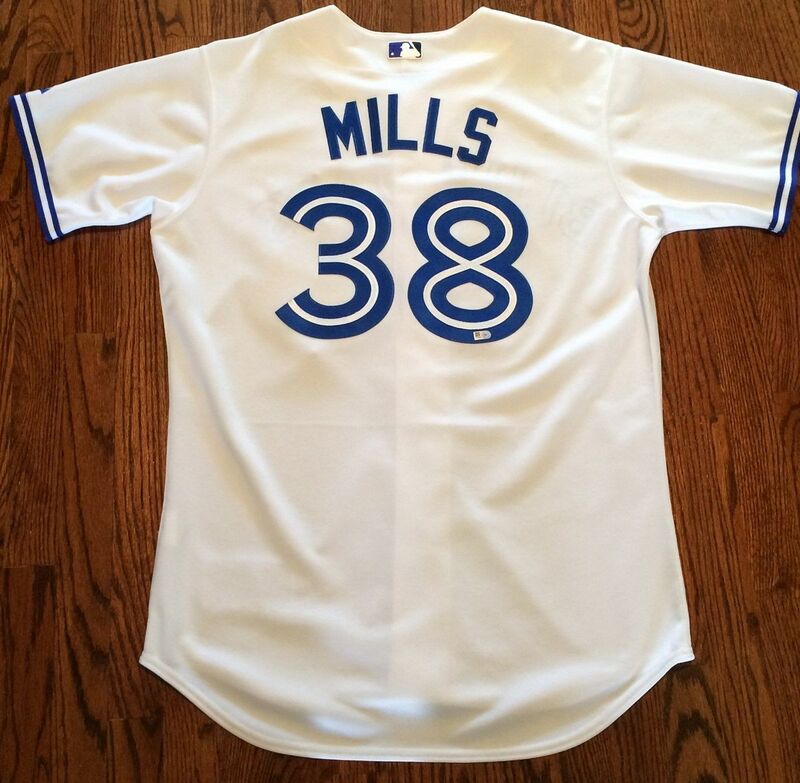 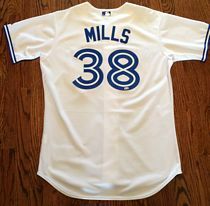 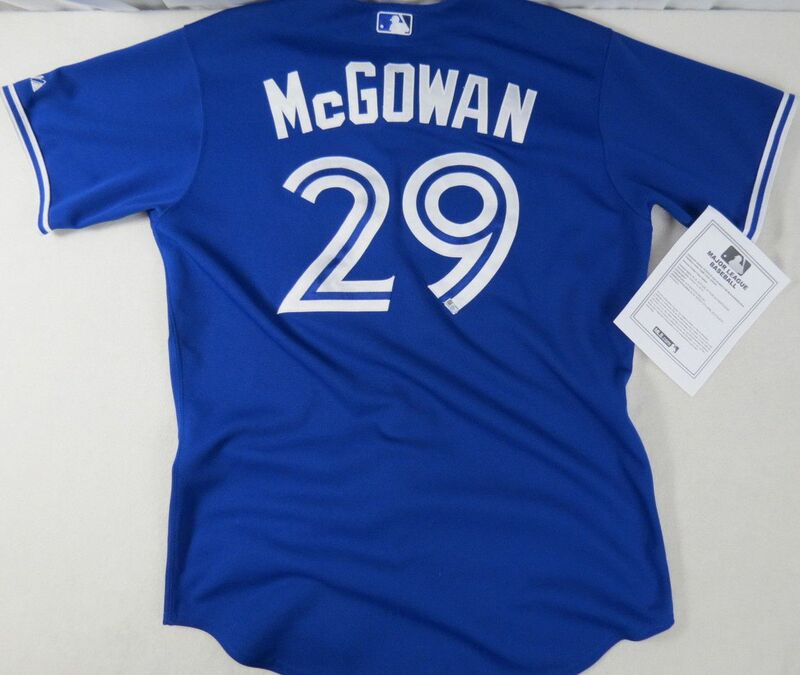 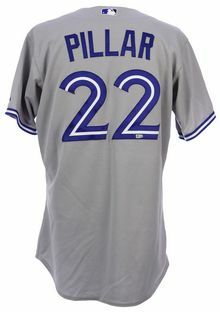 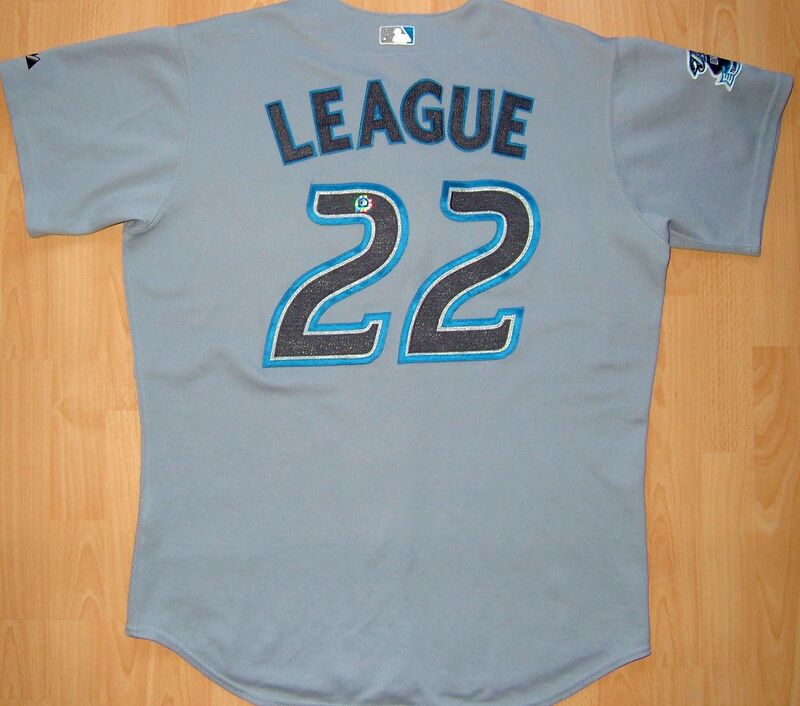 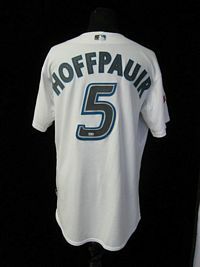 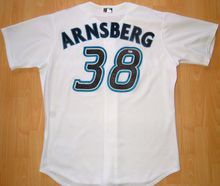 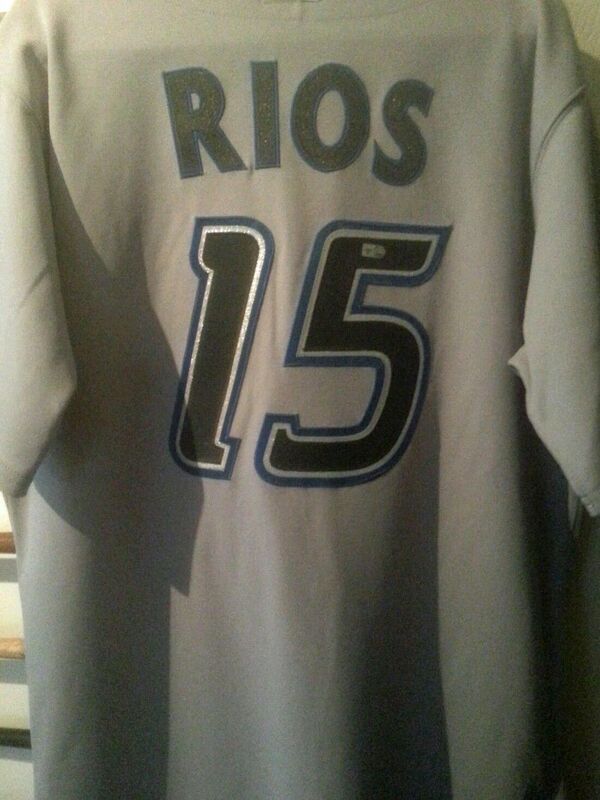 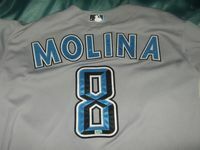 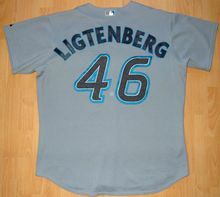 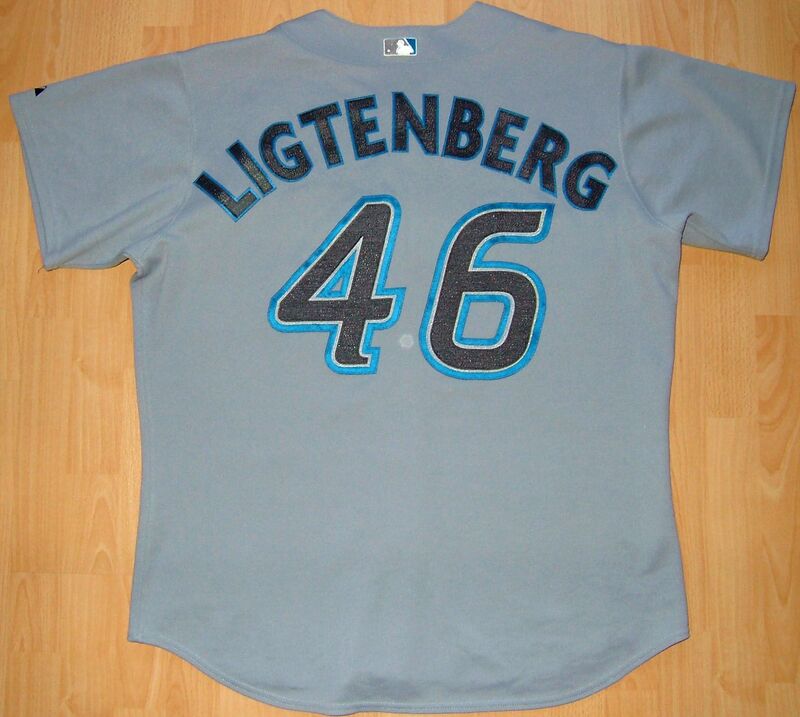 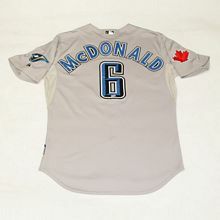 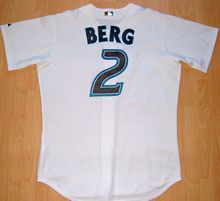 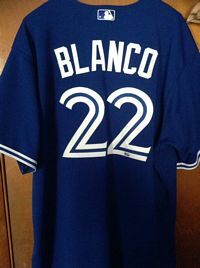 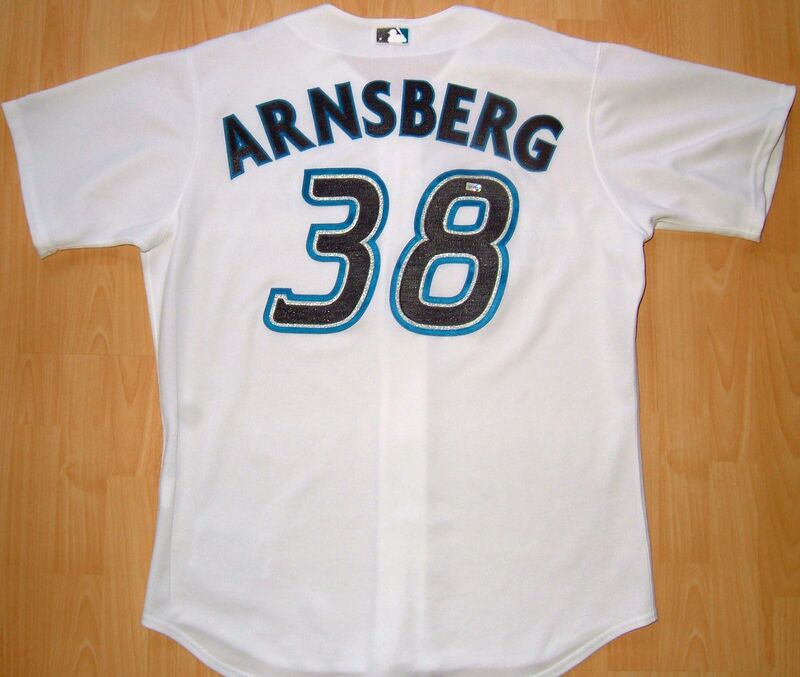 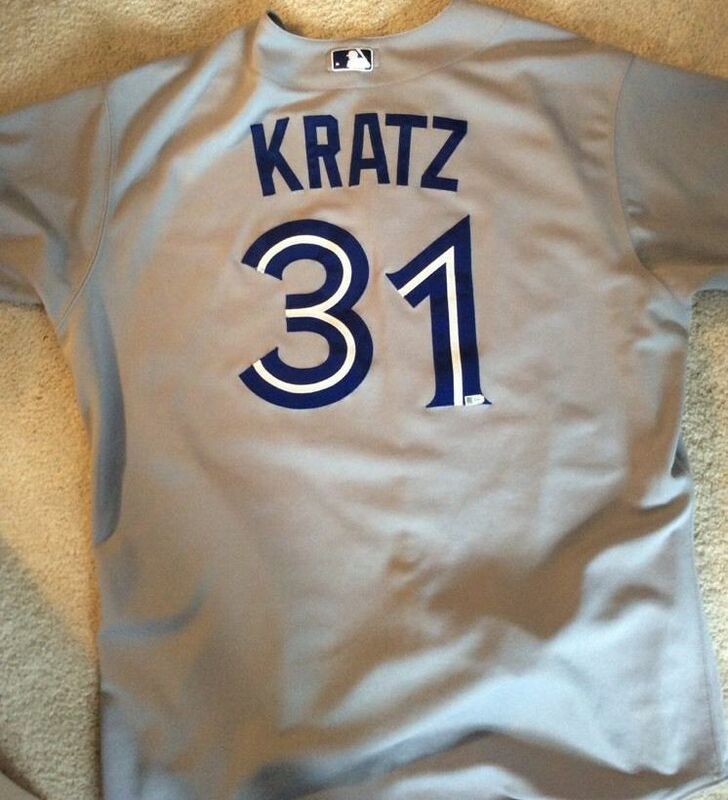 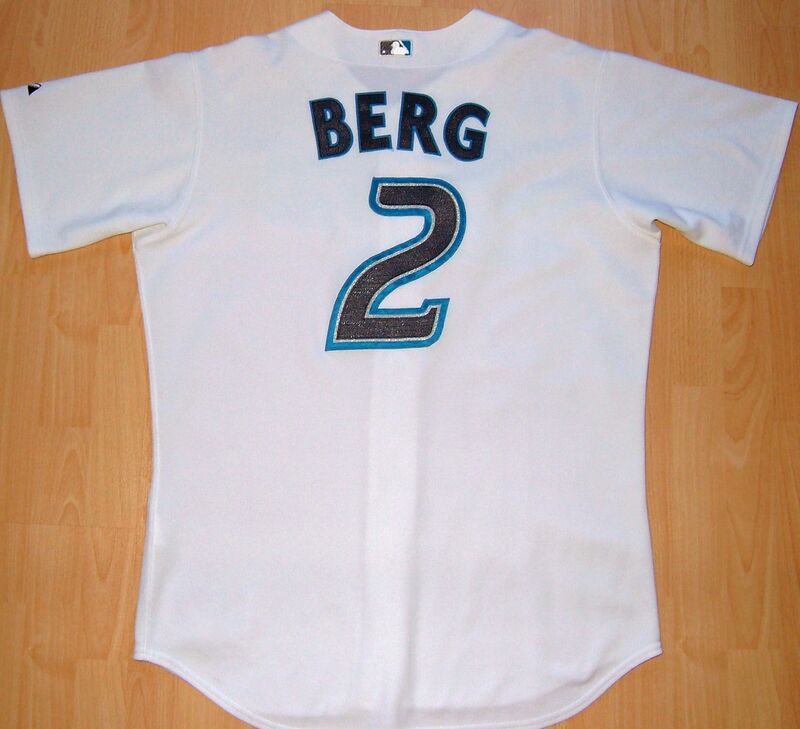 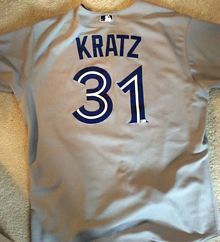 Home, road and blue alternates have the classic split lettering with slightly flared tips. 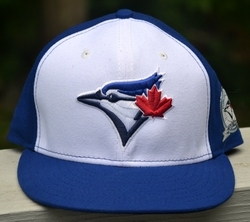 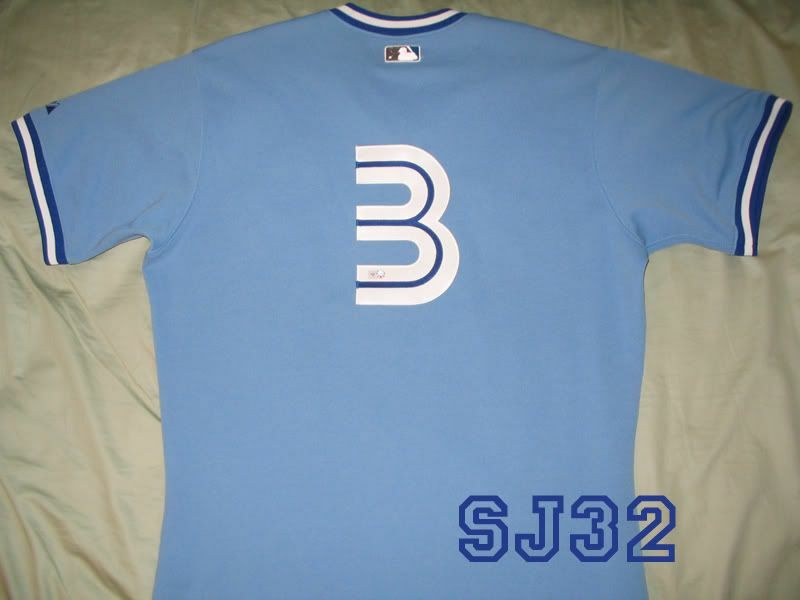 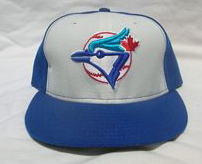 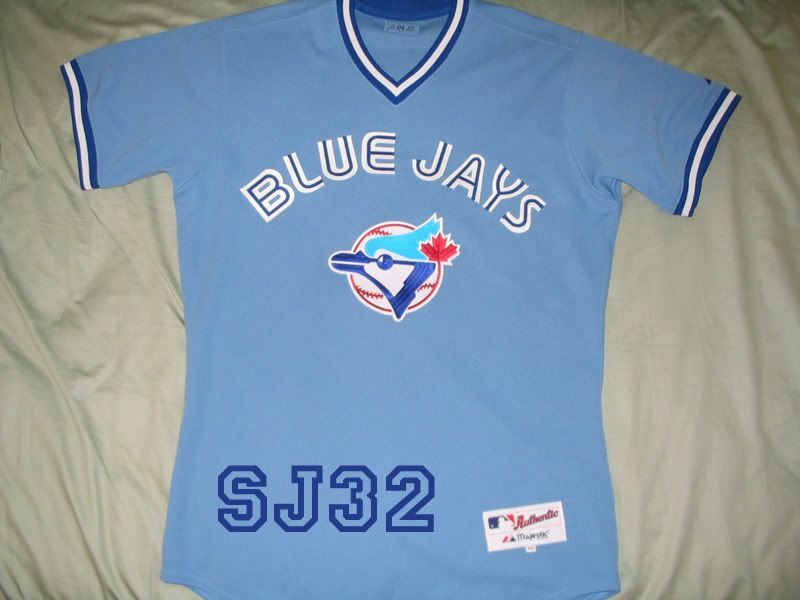 The blue jay logo is modified and the baseball is gone. 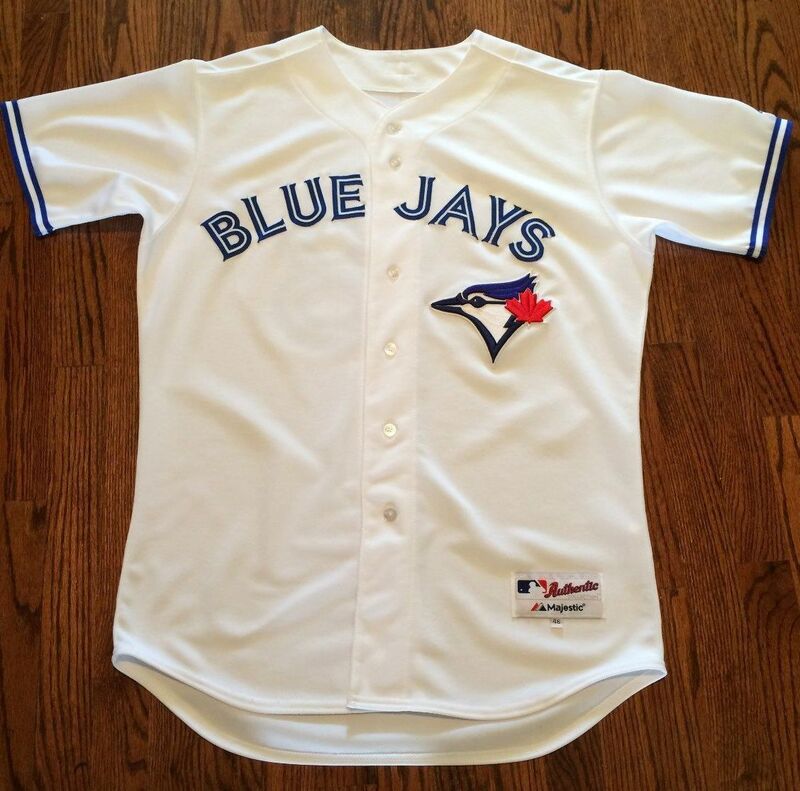 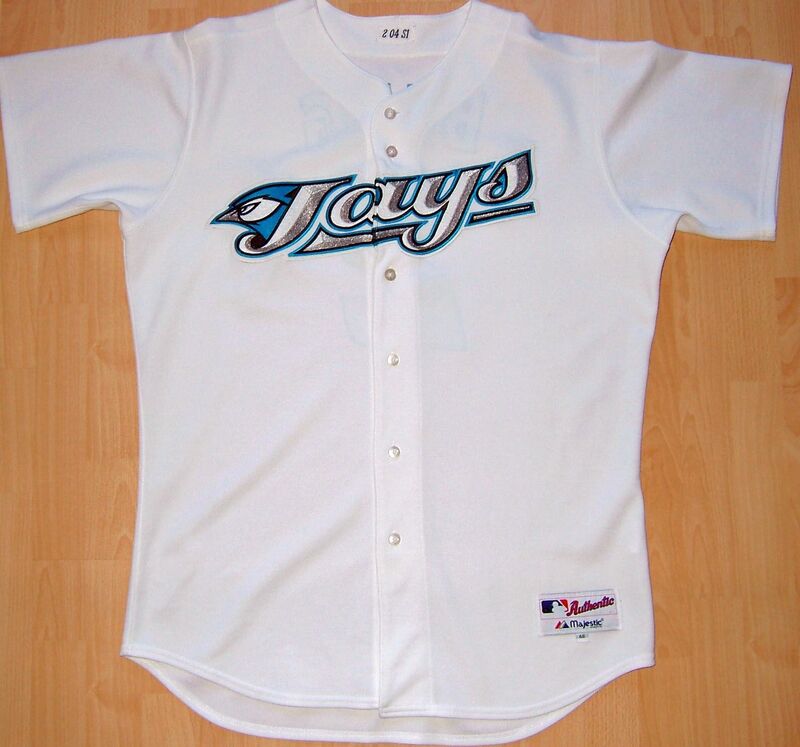 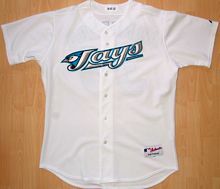 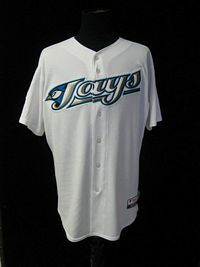 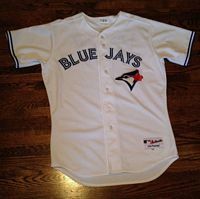 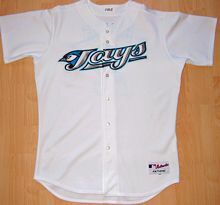 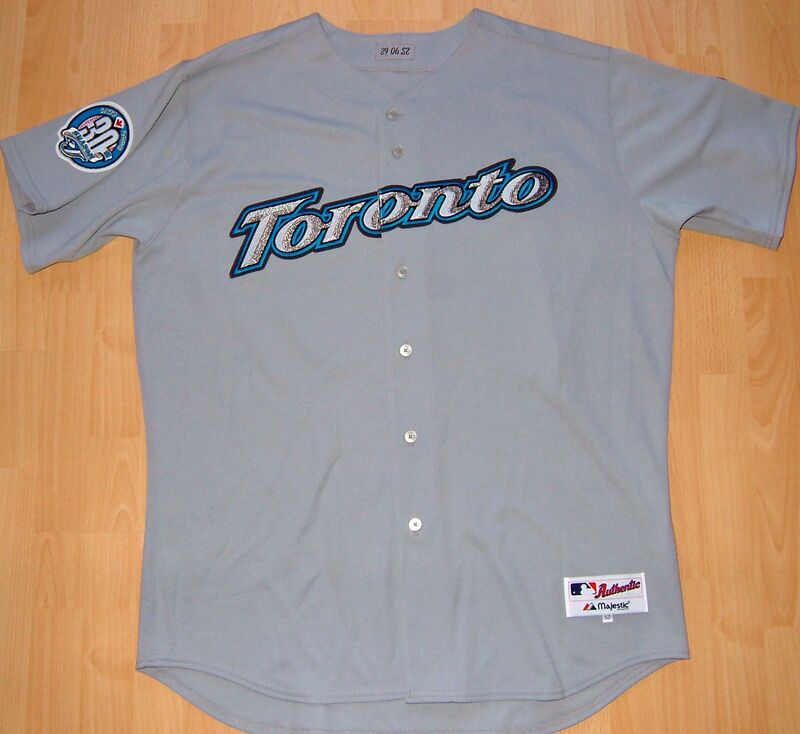 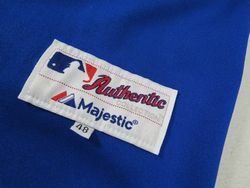 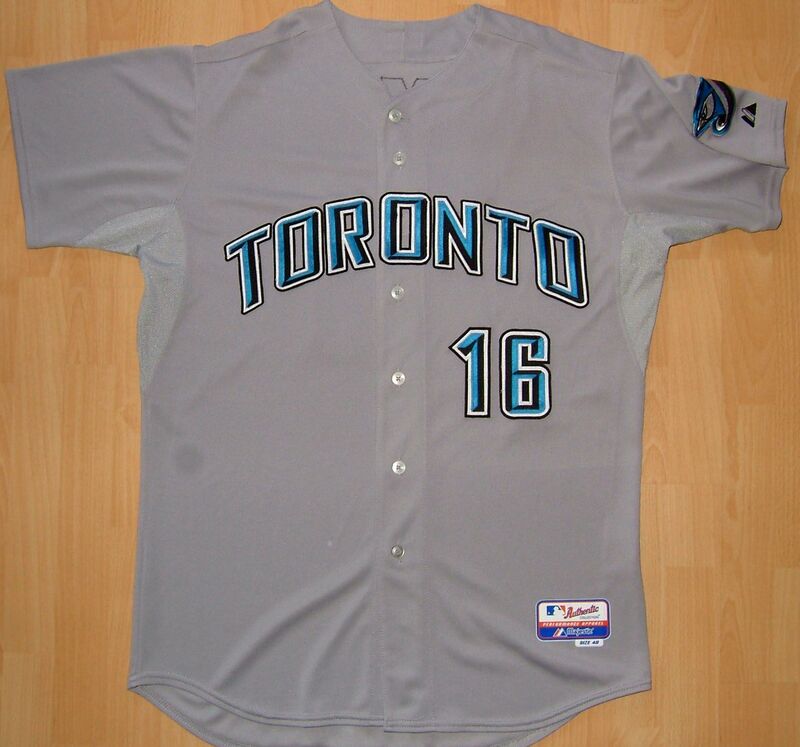 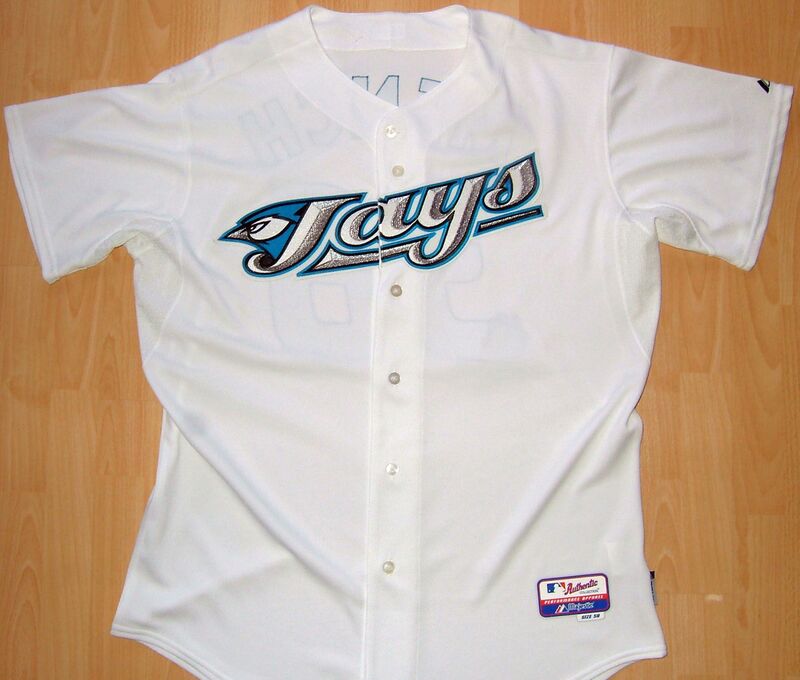 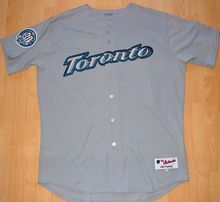 Cool Base is dropped, jerseys return to double knit. 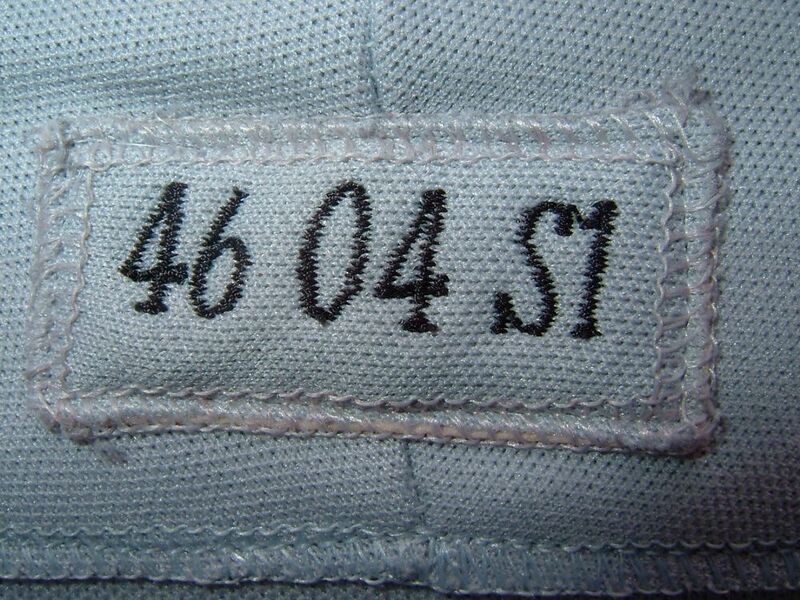 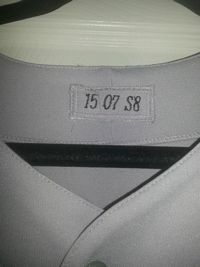 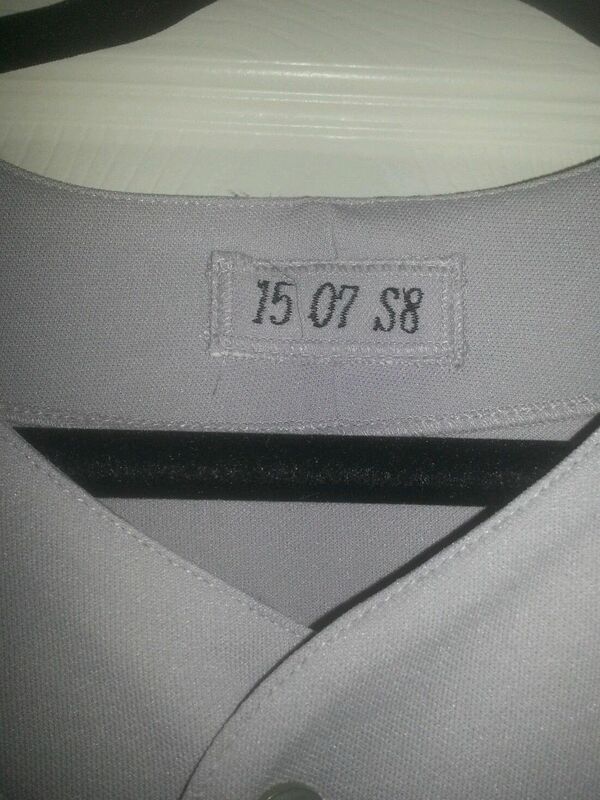 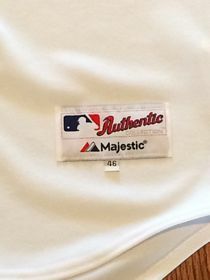 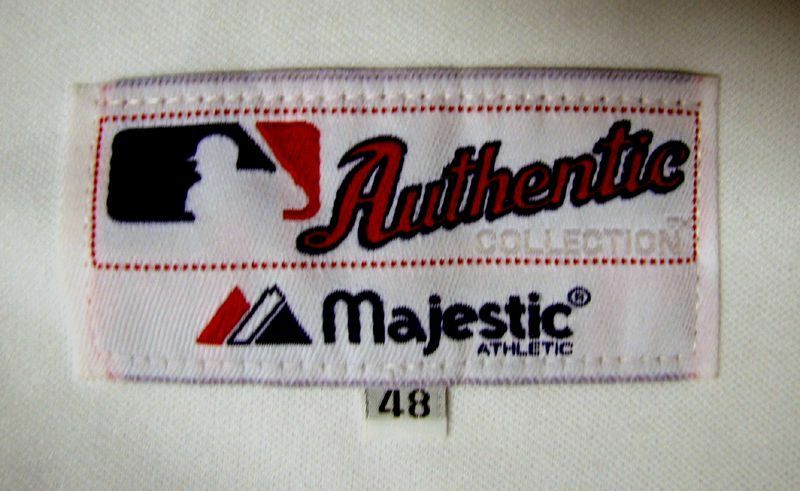 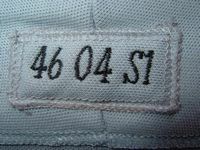 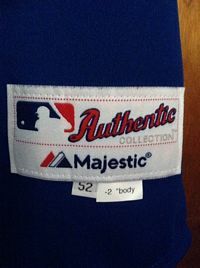 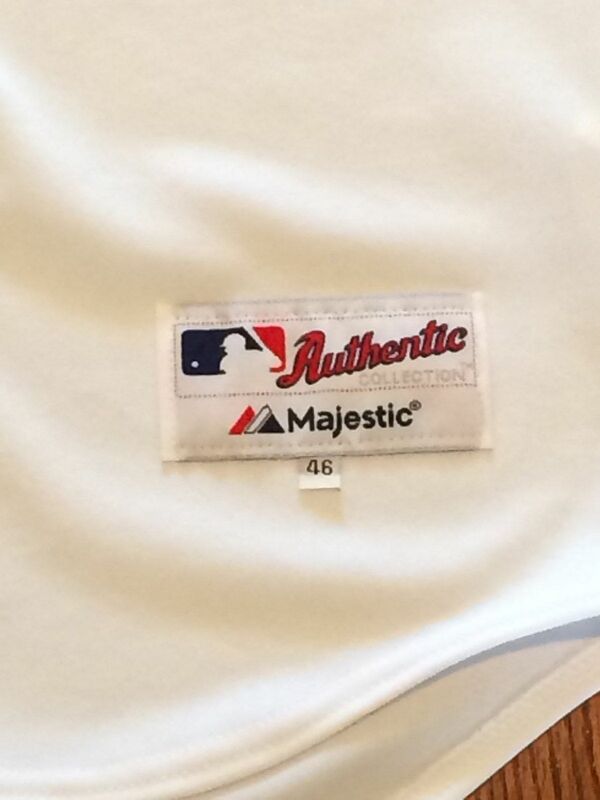 Showing a retail one which is identical except for collar tagging. 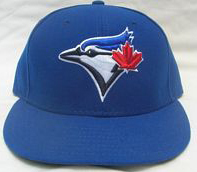 Red BP cap worn with home jersey and with alternate jersey once in 2014. 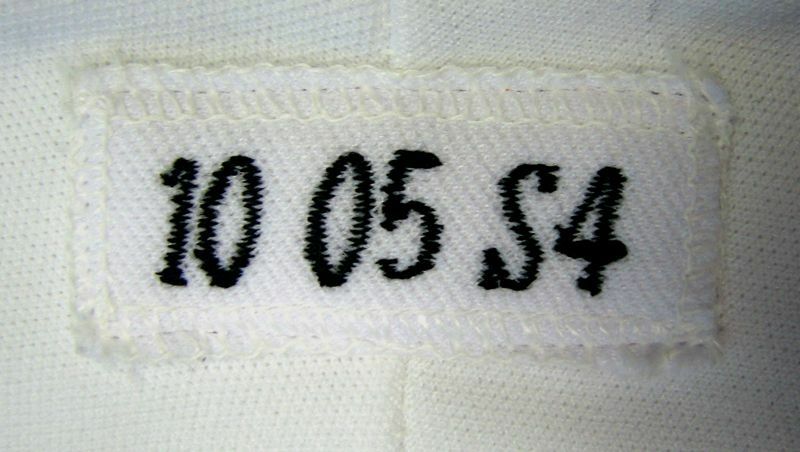 White panel cap worn once. 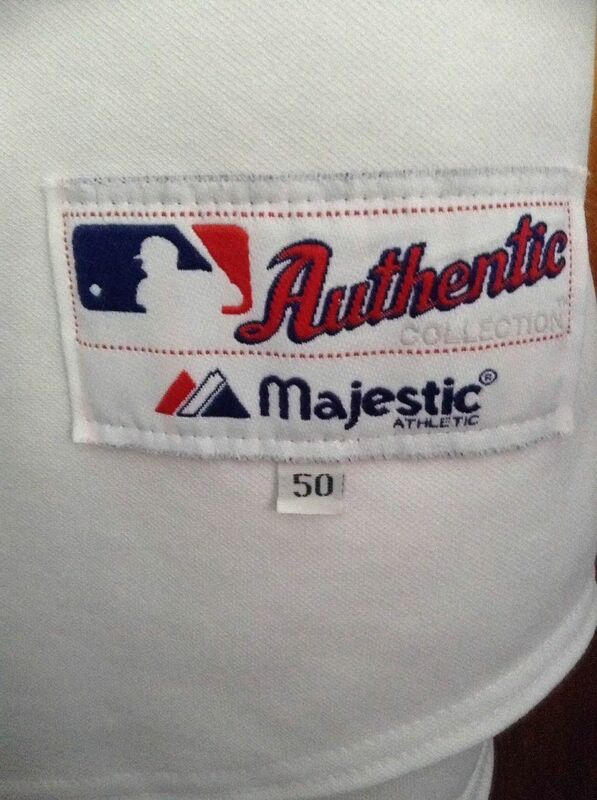 40th season sleeve patch worn on all jerseys in 2016. 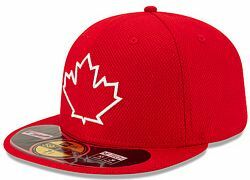 Celebrating the 150th anniversary of Canada's Confederation, a red alternate and red maple leaf cap are used on Sundays.